Asia's shares traded higher on Thursday, January 24, despite the uncertainty surrounding the global economic outlook. Australia's ASX 200 index rebounded as the energy sector rose strongly. The country released better-than-expected employment data. The key message here is that the Australian labour market remains quite strong. Trump says he will not give the State of the Union address. President Donald Trump said late Wednesday afternoon that he would comply with the House Speaker Nancy Pelosi's request not to deliver a State of the Union address until the current closing of the U.S. government is over. Trade tensions are the most influential factor in investor sentiment at this time and will drive market flows. Investors' risk appetite will only improve once concerns about the partial closure of the US government and trade tensions are allayed. As a result, the dollar has been hurt. During Thursday's Asian session, the Australian dollar rose sharply after the National Australia Bank said it would raise mortgage rates by 12 to 16 basis points. All eyes will be on the EUR on Thursday as investors await the meeting of the European Central Bank where it is almost certain to keep its monetary policy unchanged. If the central bank lowers its growth or inflation forecasts, it could see a sharp drop in the euro. In addition, the pound traded marginally higher. British lawmakers have been trying to chart a way out of the Brexit crisis, but so far no option has the majority support of Parliament. Oil prices fell on Thursday, amid persistent concern about the slowdown in global economic growth that could limit fuel demand. Oil market sentiment was also weakened by the increase in crude oil inventories in the US, after refineries reduced production. Inventories rose 6.6 million barrels in the week ending January 18 to 443.6 million. API analysts expected a decrease of 42,000 barrels. The price of gold rose in the Asian session on Thursday, as the dollar fell due to concerns about the slowdown in U.S. and global economic growth. Dow rises more than 150 points thanks to good business results. The Dow Jones Industrial Average rose on Wednesday, January 23, thanks to strong quarterly earnings from companies such as United Technologies and Procter & Gamble that rose more than 4.8 percent. IBM was up 8.5 percent in its best session since October 18, 2017. 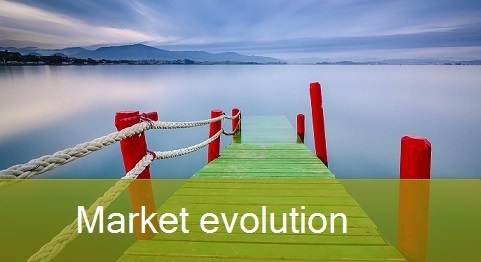 The technology sector is one that could determine the history of equities. If you look at the margins of the sector, you see that they are much higher than those of the other sectors. More than 14 percent of the S&P 500 companies have released their fourth quarter results. Of those companies, 72.9 percent have outperformed earnings estimates. However, only 58.7 percent of these companies exceeded sales forecasts. Was a neutral session on Wednesday 23 January, with a certain negative touch. In Europe, the meeting of the European Central Bank is expected with interest. The meeting of the central bank of Japan is present, which leaves the stimuli untouched and also warns of increased risks to the economy. Some good results have come out such as Carrefour, which has less deterioration than expected in its sales. It seems that the latest revolts in France have not done much harm. In addition, the good results show the confidence of its strategic shock plan. Eurozone consumer confidence falls further and continues to fall each month, which is very negative for the economy. In France, for example, business confidence remains stable but the decline across 2018 remains clear. On the other hand, there is increasing pressure from Europe towards the UK for a second referendum. Europe needs clarity from the British Parliament as to where they want to go. The shift towards the electric car, and the will to eliminate plastic, jeopardize the future of the entire oil industry. Crude oil will attract attention when it reaches the level of 53 dollars a barrel. The Secretary General of OPEC has made a very harsh statement, at the Davos Forum, which surprises no one. He says that the oil industry is under siege and the truth is that it is completely true. The idea seems to be spreading to stop consuming fossil fuels and to look for cleaner alternatives for the environment. The BoJ has decided to maintain its monetary policy, supported by ultra-low interest rates and a large asset purchase program. They want to keep interest rates at zero percent over the long term. Seven of the entity's nine board members have decided to leave intact the package of measures in place since 2013 to bring inflation to around 2%. They have also revised their inflation forecasts downwards in view of the weak evolution of prices. The European Parliament's Committee on Industry, Research and Energy has confirmed the agreement reached to reform the design of the electricity market and improve its functioning. They aim to empower consumers and facilitate the transition to a cleaner energy model. One of the main elements of the new rules is that electricity suppliers will have the freedom to set their prices, which will limit market distortions and lead to more competition and lower prices. One month has just passed and the consequences of this situation are beginning to worry investors. In addition to 800,000 government employees affected, there is another victim: the IPO market. The IPOs are completely paralysed and are not expected to arrive for the duration of this situation. But not only that, the companies planning to go public are delaying the announcement of their decision because of the complications they are facing. The stock market regulator cannot process the required paperwork, so the IPO market is paralyzed. Shares in Asia rose on Friday, January 25, despite new uncertainties over U.S.-China trade negotiations. Japan's Nikkei 225 rose about 1.17 percent. Prior to the market opening, official data showed that consumer prices in Tokyo rose by 1.1 percent in January, surpassing an estimated 0.9 percent increase forecast by analysts. The measure of inflation takes oil products into account, but does not include fresh food prices. In Australia, the ASX 200 rose by about 0.8 per cent and most sectors showed gains. Financial markets globally continue to seek clarity on a number of issues. They are moved up and down every day in highly volatile sessions. The Dow fell on Thursday, January 24, after the Secretary of Commerce said the United States and China are still far from the trade agreement. The European Central Bank issued the latest warning about Europe's weakening prospects and predicted weaker-than-expected growth in the short term. 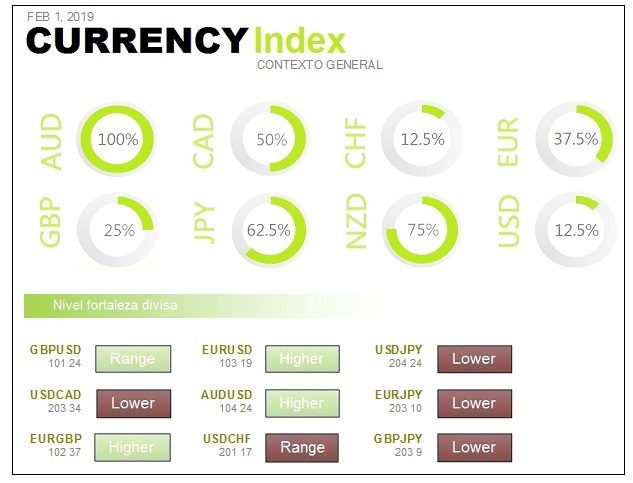 Analysts expect the euro to perform below its short-term counterparts and monetary policy is expected to remain accommodative in the region this year. The dollar is facing a difficult year as U.S. economic growth is under pressure. The Federal Reserve is getting closer and closer to stopping its cycle of interest rate hikes. The pound peaked at 11 weeks after The Sun reported that the Democratic Unionist Party of Northern Ireland has decided to offer conditional support to the Prime Minister's Brexit agreement. Oil prices rose by more than one percent on Friday as turbulence in Venezuela caused concern that its oil exports might be interrupted. Washington said Thursday that it could impose sanctions on Venezuela's crude oil exports as Caracas is immersed in more political and economic turmoil. However, world oil markets remain well-supplied thanks, in part, to increased production in the United States. The price of gold rose on Friday, amid concern that a prolonged shutdown of the U.S. government could affect global growth. Markets also look forward to next week's resumption of China-U.S. trade talks. Concern over U.S.-China trade negotiations. The Dow dropped Thursday, January 24, after the Commerce Secretary said the United States and China are still far from the trade agreement. The losses of Merck and Pfizer were heavy. Their comments come as China and the United States attempt to reach a trade agreement before early March. If they don't, additional tariffs on Chinese products will come into effect. The S&P 500 also fell, as the basic consumer and health-care sectors lagged behind. It's the beginning of the fourth-quarter earnings season. The data coming in is as expected. There is still reasonable revenue growth and double-digit profit growth. Was a bullish session in Europe on Thursday 24 January. There have been several very determining factors: macroeconomic data, policy statements, business results and the European Central Bank meeting. The ECB leaves interest rates unchanged and there is no short-term action. The problem is that it has been recognised that things are getting worse and that, if the damaging factors drag on over time, the damage can be deeper and longer lasting. Before we knew that the European Central Bank was going to leave interest rates unchanged, there has been movement thanks to the presentation of macroeconomic data. The January preliminary reading of the purchasing managers' indices in Germany, France and the euro zone has come out. The two that have attracted the most attention are those of Germany and those of the euro zone. Germany's services sector has bounced back, continuing to expand and move away from the contraction zone. Manufacturing has contracted, but composite has been offset by improved services and has moved away from the contraction zone. Nevertheless, Germany's good economic prospects have not diminished. Automotive and spare parts has also supported the German index, thanks to comments from the European Commission that they are convinced that the United States will not impose tariffs on Europe's automotive products. The ECB has inaugurated 2019 with its first monetary policy decision, after it ended its asset purchase programme in December. As expected by the market, there have been no changes in interest rates. The ECB has acknowledged the economic slowdown and has tried to dispel the ghosts of recession with very little room for manoeuvre. The current context of economic slowdown, and fears of a possible Federal Reserve rate cut in 2020, have delayed rate hikes in Europe. The U.S. Senate votes to clarify the issue of financing the border fence with Mexico. The absence of these funds has led to the partial closure of the Administration, which has left some 800,000 people without pay. The Republican majority leader in the Upper House, Mitch McConnell, has allowed the vote on the Democrats' proposal to finance the Government for three weeks. That proposal does not include the $5.7 billion for the construction of the border fence. All indications are that the Democrats will not get the 13 votes needed to move their proposal forward. The president of the central bank has left everyone with the feeling that he has crossed the line with his unaggressive tone. Markets are increasingly doubtful about Draghi's dismissal of his mandate with an interest rate hike. In March the supervisor will reassess the effects of the Eurozone slowdown. It will be in two months time when a better orientation on the future of the European Central Bank's monetary policy will be offered. A preliminary reading of the composite figure of the Purchasing Managers' Index, which stood at 50.7 points in January, represents the slowest growth rate in 66 months. Discouraging survey data suggest that GDP is growing at a quarterly rate of just 0.1%. During the month of January, the volume of orders received recorded the first setback since November 2014, reflecting the largest drop in demand for goods and services since June 2013. Persistent weakness in the automotive sector, concern about Brexit, trade wars and protests in France were widely mentioned as the factors responsible for the moderation in growth. Asian markets recorded an uptrend on Monday, January 28, as investors await the new round of high-level U.S.-China talks, which will begin later in the week. China is ready to send a delegation, led by Deputy Prime Minister Liu He, to Washington. Investors will be watching for any major developments on the commercial front as both sides rush to reach an agreement before the early March deadline. However, China remains unwilling to make concessions on investment and to establish a level playing field for US companies. Australia's stock market was closed on Monday on a public holiday. President Trump and congressional leaders have reached an agreement to reopen the government for three weeks and end the longest funding cut in U.S. history. The government will have a free hand until February 15, without the money Trump has demanded to build its border wall with Mexico. Both houses of Congress approved the measure last Friday. Of course, the agreement only temporarily delays another closure or a possible national emergency, as lawmakers may not yet be able to reach an immigration agreement that satisfies Trump. During Monday's Asian trading session, the dollar lost ground against most currencies, while investors focused on this week's Federal Reserve session. Traders are betting on a pause in the interest rate tightening cycle. The Fed meets between January 29-30 and its chairman, Jerome Powell, is expected to recognize the growing risks posed by the global weakening of the U.S. economy. The euro was bullish. 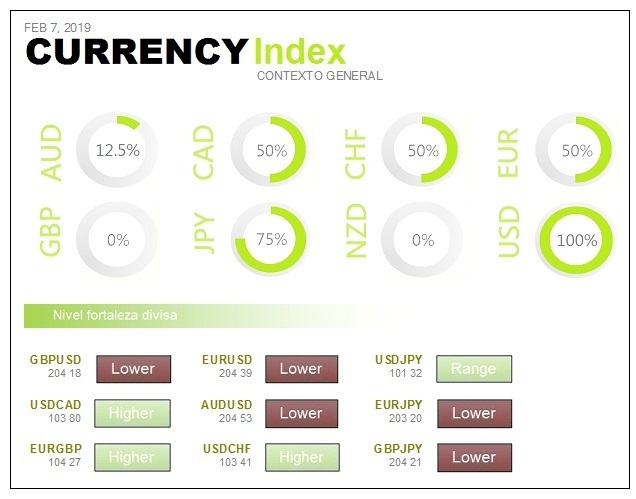 The European currency managed to maintain a positive streak last week, despite the European Central Bank lowering its short-term growth forecasts. Growth data from European economic powers, such as Germany and France, has been weaker than expected and analysts expect the ECB to remain prudent for a long period of time. Oil prices fell on Monday after US facilities rose for the first time this year. This indicates that crude oil production could increase further. During Monday's Asian session, gold remained stable. It is close to the seven-month high of the previous session, hoping that the Federal Reserve will keep interest rates unchanged during this week's monetary policy meeting. European markets are expected to open Monday's trading session higher. Dow jumps 150 points and wins for fifth consecutive week. The Dow rises sharply on Friday, January 25, after a short-term solution to the government's closure was reached. President Donald Trump announced that he had reached an agreement with Congress to reopen the U.S. government. The temporary agreement will finance the government for three weeks, until February 15. All parties agreed that serious economic damage was occurring every week. Apple, Amazon Alphabet and Facebook led the gains as investors returned to risk appetite. The U.S. dollar rallied during the week and is now in its fifth consecutive positive week. This streak is the longest since August. Both the S&P 500 and the Nasdaq Composite were also bullish. European equities traded higher on Friday, January 25, amid a rally in technology stocks and as investors continued to watch U.S.-China trade. Europe's technology sector experienced large gains, even after U.S. chipmaker Intel posted gains that did not meet analysts' expectations. 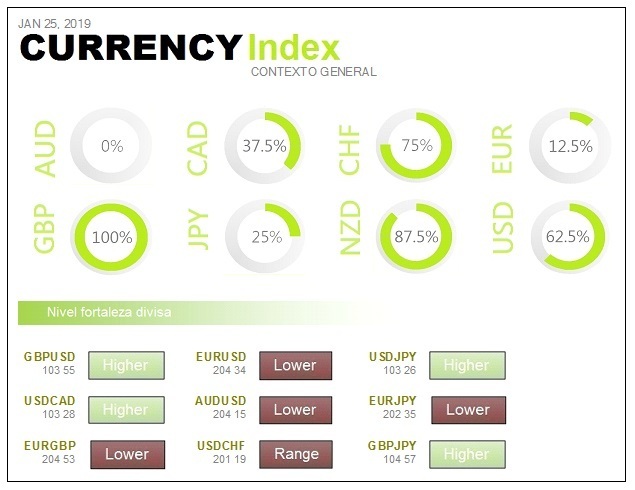 The Stoxx 600 pan-European index rose 0.6 percent, with technology stocks and trade- sensitive sectors such as automobiles and basic resources being the main winners. The FTSE 100 was the only large stock exchange to close down, dragged down by the disappointing results of Vodafone and the appreciation of the pound sterling against the dollar. On the other hand, Reuters reported on Friday that no one on Deutsche Bank's supervisory board was pressing for a short-term merger with its rival Commerzbank. The European Commission has admitted that clouds are seen over the future of the economy, although the wind is still favourable. It is a time when all EU countries are growing and there is a record level of employment in the eurozone. Never before have there been so many Europeans with jobs as there are now. Brussels is aware of the forecasts of the International Monetary Fund, which this week modified its estimates of world growth downwards, and remains in expectation. The Asian giant will implement new measures in the midst of the difficult situation to which the trade war with the United States has brought it. However, there is limited space for aggressive stimuli in an economy already loaded with massive debts. China's deepening economic slowdown is intensifying pressure on Chinese jobs and threatening social stability. During the global financial crisis of 2008-09, Beijing launched an expenditure package of 4 trillion yuan. With them it tried to fight against a recession that cost 20 million jobs and caused an explosion of credit. Is fiscal stimulus the answer? The Chinese government has been trying to get more credit to small businesses, which are vital for growth and jobs. In December, top leaders said that fiscal policy would be stronger and more effective and that monetary policy would be prudent and flexible. Analysts expect China to cut taxes and rates by 2 trillion yuan in 2019. Details of the project will be released in March. The same warning has also been issued by the European Central Bank and the Federal Reserve will ultimately have no choice but to follow the same path of prudence. This is probably a time when interest rates cannot be raised, which is good for the market. On the other hand, China will let banks have more liquidity to support new loans. This means reducing the required reserves, which is good for the banking system. On Tuesday, January 29, Asian equities fell as concerns about the slowdown in the Chinese economy and the resumption of trade tensions weighed on investors. The United States has accused Huawei's chief financial officer and two affiliates of bank fraud and violating sanctions against Iran. Investors fear that the charges could complicate the high-level trade talks that will begin Wednesday when Chinese Vice Premier Liu He meets with U.S. Trade Representative Robert Lighthizer. China expressed serious concern about U.S. accusations against Huawei and its foreign ministry said Beijing would protect the legitimate interests of Chinese companies. This is likely to be detrimental to risky assets and the dollar against the yen and the Australian dollar is expected to be under pressure. 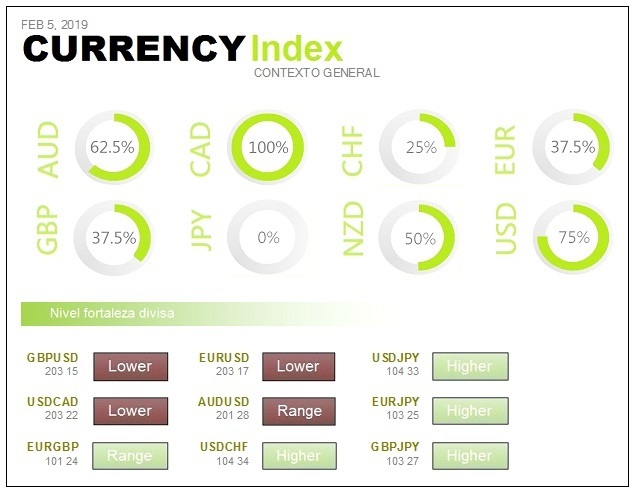 The Japanese yen gained against most currencies as investors took refuge in safe havens after the U.S. Department of Justice indicted Chinese company Huawei Technologies Co Ltd.
Analysts expect the pound to remain volatile. Britain will leave the European Union on March 29, but members of the country's parliament are far from reaching an orderly divorce settlement. Market participants are also focusing on the January 29-30 meeting of the Federal Reserve, where Chairman Jerome Powell is expected to recognize the growing risks to the U.S. economy as global growth weakens. Oil prices rose Tuesday after Washington imposed sanctions on Venezuelan state-owned oil company PDVSA, in a step designed to severely curb OPEC member's oil exports to the United States. Despite the measure, which occurs when the U.S. government seeks to put pressure on President Maduro, operators believe that a broad global oil supply and an economic slowdown, especially in China, are pushing down oil prices. In Tuesday's Asian session, gold prices peaked at more than seven months. Investors reject riskier assets because of concerns about escalating trade tensions between China and the United States. Dow drops more than 200 points due to Caterpillar weakness. US equities fell sharply on Monday, January 28, after weaker than expected quarterly earnings and poor Caterpillar forecasts. In addition, the large revenue cut by chipmaker Nvidia fueled fears about the slowdown in the Chinese economy. Monday's fall came after the Dow and Nasdaq recorded their fifth consecutive weekly gain last week. 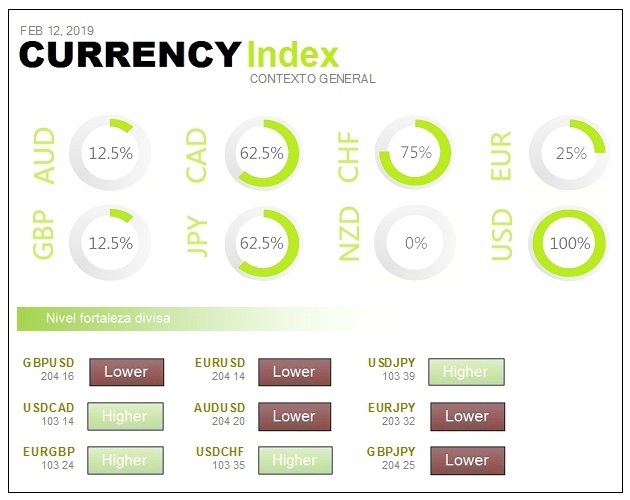 The main indices have risen again since the sharp fall in December. In that time, the major indices have risen by at least 12 percent. As the week progress, news are approaching that will affect many sectors. There's the Brexit vote, the Fed meeting, the renewed China-U.S. talks and the January employment data. It will probably be a week to remember. European actions started on Monday 28 January with difficulties. Investors are looking forward to the important events that will take place throughout the week. The Euro Stoxx 600 pan-European index closed 0.94 percent down. 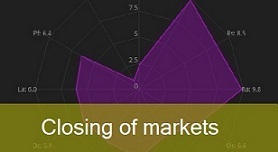 All major stock exchanges and most sectors were negative. Initially, there was a positive momentum for the reopening of the US government after the longest close in history. However, the momentum was slowed after US equities were dragged down by a Caterpillar earnings warning. Theresa May will bring her latest Brexit proposal to Parliament on Tuesday. If she gets the support of legislators, she is willing to return to Brussels for more concessions. However, the message from the 27 European countries remains that the current exit agreement will not be renegotiated. The Federal Reserve will hold its monetary policy meeting on Tuesday and Wednesday. The consensus expects the central bank to confirm its change of strategy towards a more flexible and patient policy after the rate hikes of 2018. Another highlight of the week will be the new round of first-rate U.S.-China trade negotiations in Washington on Wednesday and Thursday. The outcome of this meeting will be crucial to the direction of the stock markets in the coming weeks. The Asian giant is willing to make concessions when it comes to buying more American products and reducing tariffs on automobiles and other products. However, the main stumbling block remains intellectual property and technology transfers. The challenge for Federal Reserve Chairman Jerome Powell is to pause without investors thinking that the current cycle of rising interest rates has come to an end. For the Fed to feel confident that the U.S. recovery is strong enough, it will have to wait until the second half of the year. Employment data remains strong. The Chicago Federal Reserve's national activity index remains on positive territory. This means that, for now, the economy is doing well. The prudence of strong hands is not good news for markets. Most strong hands have not participated in the rally and have stayed out of the stock market and into bonds. Not only have the big funds not yet closed their equity shorts, but they are taking new bond buying positions. They are therefore short on equities and long on bonds. The strong hands have only marginally followed the previous rise and remain in very prudent positions. A large catalyst is needed for them to change positions and, given the economic downturn, this could only be a very important piece of information. The good part is that if the catalyst appears, as there are still a lot of shorts open, closing these positions could generate a very strong rally. On Sunday, the Trump Administration lifted its sanctions against the Russian aluminium giant Rusal and other companies that had been penalized for their ties with the oligarch Oleg Deripaska. Deripaska was sanctioned in April 2018 for its ties with the Russian government, within a package of restrictions against Russia for its actions in Ukraine and Syria. He was also linked to interference in the 2016 presidential elections. An overwhelming majority in the Democrat-controlled U.S. House of Representatives voted to prevent the government from lifting sanctions on these companies. But that effort failed in the Senate, which was three votes short of the 60 needed to stop the resolution. On Wednesday, January 30, Asian stock markets were slightly bullish, with investors awaiting the resumption of U.S.-China trade negotiations. After the new vote on the Brexit, the focus is also shifting to other key events, such as the Federal Reserve meeting and the U.S. employment report on Friday. The pound attempted to recover after its sharp fall from the possibility of a chaotic Brexit, following Parliament's new rejection of Theresa May's proposals. The dollar slackened before the Fed's monetary policy decision. On Wednesday, the Federal Reserve will end a two-day meeting in which interest rates are expected to remain unchanged after having been raised four times last year. Recent comments point to a slower pace of rate hikes this year amid growing uncertainty about the health of U.S. and global economies. Oil prices rose on Wednesday as concerns about the disruption in Venezuela's supply following U.S.-imposed sanctions outweighed the downward pressure from the gloomy outlook for the world economy. During Wednesday's Asian trading, gold reached highs not seen since May, which continues to show that investors are betting on safe haven assets. Uncertainty remains on two key points: the trade relationship between China and the United States and the monetary policy that the Federal Reserve will apply in the coming months. The Dow points to a slight rise. The Dow Jones Industrial Average rose slightly on Tuesday, January 29, while Wall Street awaited the latest quarterly results from technology giant Apple. Apple shares fell 1 percent before the Company's earnings report. The report comes after the iPhone manufacturer drastically reduced its revenue forecasts for the previous quarter because of weak growth in China. Meanwhile, the S&P 500 dropped slightly with the technology and communications services sectors receding. The Nasdaq Composite did not perform well in the day. This is the week with the most business results. When it's over, more than 100 S&P 500 companies will have released their quarterly data. As of Tuesday, 70 percent of companies that have already reported have exceeded analysts' expectations. Investors have been focused on the evolution of world trade, new earnings reports and another vote on Brexit. The Stoxx 600 pan-European index closed around 0.8 percent above, with most sectors and major exchanges in positive territory. Europe's utilities and household goods companies were among the most profitable. Investors go to assets that are considered safe in times of economic uncertainty. It has been said that the Federal Reserve will be patient when it comes to raising interest rates. The stagnation of world trade, the closure of the federal government, and the decline in business and consumer confidence will weigh heavily on the Fed's decisions. Gold tends to rise with lower interest rate expectations. The metal has risen more than 12 percent from the one-and-a-half year low reached in August. The SPDR Gold Trust, the world's largest publicly traded gold-backed investment fund, increased its gold reserves by 0.73 percent to 815.64 tons. It is its highest level since June 2018. Silver rose 0.8 percent, having reached its highest level since July 2018. Palladium rose 0.3 percent, Platinum's up 0.7 percent. The Asian country has filed a lawsuit despite the fact that its government and that of the United States are in negotiations to resolve the trade dispute bilaterally. The World Trade Organization body agreed to set up a group to study the tariffs imposed on Chinese imports. According to that country, the fees imposed by the United States continue to harm its economic interests, as well as the multilateral trading system. The first Chinese request had been blocked by the United States on December 18, 2018, and for the second request not to prosper, total unanimity of the WTO was required. The Japanese economy is in its longest period of expansion since the end of World War II. This is mainly due to the recovery in domestic demand. In addition, the measures against deflation, which the Government has implemented over the past six years, have been decisive. In its monthly report, the Executive maintains that the country's economy continues to recover at a moderate pace and that domestic consumption is recovering. The main challenge facing the Japanese economy is the difficulty in reaching the 2% inflation target set by its central bank. The problem remains the insufficient rise in both prices and wages and the reluctance of the Japanese to spend more. The United States recognized Guaidó and has been encouraging support for regime change in Venezuela. The government of Donald Trump announced on Monday sanctions against the state energy company PDVSA, in an attempt to harm Maduro. Russia and China, which have shown their commitment to Nicolas Maduro, have harshly criticized the sanctions imposed on Venezuela. Russia describes the sanctions as illegal. Foreign Minister Sergei Lavrov has said these sanctions completely undermine confidence in the international financial system and Russia is doing everything possible to support Maduro's legitimate government. In addition to the support of Russia and China, Maduro still has the support of the Venezuelan military, which could be vital to seizing power. Asian equities rose on Thursday, January 31, after the Federal Reserve said it would be patient in raising interest rates in the future. Jerome Powell says the Fed has not changed the course of its monetary policy in response to Trump. The Fed Chairman said the central bank does not take political considerations into account when making its decisions. It should be remembered that Trump has repeatedly attacked the Fed for raising interest rates in the past. China's markets rose at the beginning of the session, despite official Chinese data showing that manufacturing activity in January contracted for the second month in a row. In the rest of Asia, Japan's Nikkei 225 and Topix have gained ground. South Korean Kospi was also bullish. In Australia, the ASX 200 remained virtually flat, as most sectors were mixed despite oil company shares rising. US equities soared, after the Federal Reserve decided to hold interest rates and said it would be more patient in assessing future rate hikes. The bank also issued a separate statement to alleviate concerns about the evolution of its balance sheet. What matters is to do the job of the central bank, with the tools available, and with an eye on the American people. Meanwhile, high-level U.S.-China negotiations are underway in Washington, and both sides aspire to an agreement in the midst of the ongoing trade war. The deal will surely come, though it may not be this week. But at the end of the day, as we have seen in the past, the real problem will not be the deal, but the real willingness to compromise. During Thursday's Asian trading session, the dollar fell against most currencies after the Federal Reserve reversed its monetary policy. 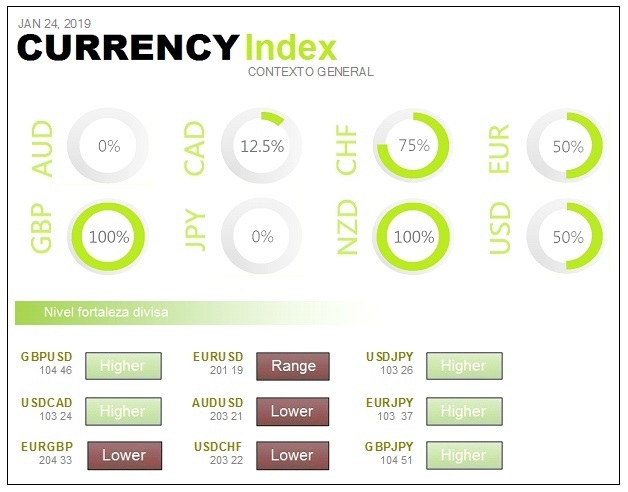 This generated a feeling of widespread relief among investors and supported currencies such as the Australian dollar and the euro. Oil prices rose for the third day in a row, driven by signs of declining demand in the U.S. and OPEC cuts. The price hike came after the weekly EIA report showed that US imports from Saudi Arabia fell by more than half from the previous week. Gold reached an eight-month high, while the dollar weakened after the Federal Reserve confirmed an adjustment of its monetary policy. The ounce of gold is on its way to its fourth consecutive monthly gain. The Dow rises more than 400 points. It does so after the Federal Reserve says it will be patient with interest rate hikes. U.S. equities rose sharply on Wednesday, January 30, after the Fed kept interest rates unchanged. Good results from Boeing and Apple also boosted the market. It appears that the Fed is becoming more dependent on the market rather than data. Investors have become accustomed to below fair value interest rates and trying to raise them is creating difficulties. The monetary policy shift is quite drastic from what was said in December, although it is not unexpected. European markets rose on Wednesday, January 30, as investors awaited the Federal Reserve's monetary policy stance and the outcome of high-level U.S.-China trade talks. The Euro Stoxx 600 pan-European index closed slightly higher. Europe's personal and household goods sector led the gains, with a rise of more than 1.7 percent, amid good business results. France's LVMH was the first company in the sector to deliver strong results in the last three months of 2018. The company's shares were up almost 7 percent. On the data side, economic sentiment in the euro zone fell for the seventh consecutive month in January, reaching its lowest level in two years. Wall Street records gains, boosted by the strong 5% rises recorded by Apple and Boeing after releasing their results. In addition, the market is digesting the outcome of the Federal Reserve meeting and is watching for new U.S.-China trade negotiations. Chinese Vice Premier Liu He has arrived in Washington as the leader of the Chinese delegation for further talks with the United States. U.S. Treasury Secretary Steven Mnuchin said he expects significant progress this week between the world's two largest economies. There is a widespread sense that the trade war has become too long and has already had a strong economic impact. The slowdown in China and lower corporate profits in the U.S. are forcing both powers to reach an agreement. Jerome Powell's recent statements confirm a change in tone and strategy. The Fed will adopt a cautious and flexible approach. If China and the United States reach a trade agreement, the Fed will probably resume its policy of gradual interest rate hikes. Another focus is the central bank balance sheet. The Fed is currently reducing its balance sheet at a rate of $50 billion a month. Therefore, over the course of 2019, the balance sheet will be reduced by 600 billion. The Fed would not hesitate to change its position on the balance sheet if it considers that its decrease becomes part of the problem. Sources in the Community executive have stated that the exit agreement for Ireland is not open to renegotiation. The European Council insisted that the consensual agreement between London and Brussels is the best and only way to ensure an orderly exit from the Union. The House of Commons approved, by 317 votes in favour and 301 against, a non-binding amendment asking the Government to renegotiate with Brussels an alternative solution for the border between Northern Ireland and the Republic of Ireland, which is one of the main obstacles blocking the ratification process. The European Union has indicated that it appreciates and shares Britain's ambition to avoid a Brexit without agreement, but indicated that the agreement agreed between London and Brussels in November, which has been endorsed by the leaders of the EU-27, is the only possible one. The German government announced a reduction in its economic growth forecast in 2019 to 1% of the gross domestic product in comparison with the 1.8% initially forecast. However German Economy Minister Peter Altmaier indicated that the German economy will be able to create around 350,000 jobs and will reduce unemployment to below 5%. In 2018 Germany's economy avoided a technical recession and grew by 1.5%. According to Altmaier, the reduction in economic growth targets is explained by the impact of the international situation. The German economy is on a growth path for the tenth consecutive year. This is the longest period of growth since 1966. The majority of shares in Asia rose on Friday, February 1, on the sentiment that the U.S. and China could reach a trade agreement. The private survey of China's manufacturing sector showed that factory activity contracted in January. The Caixin/Markit Manufacturing Purchasing Managers' Index (PMI) stood at 48.3 in January, compared to 49.7 in December. The terrible fall of the Caixin PMI index shows how important it is for China and the United States to secure a trade agreement. U.S. negotiators reported substantial progress after two days of high-level talks. The risk sentiment remained quite strong after the U.S. president said Thursday that he will meet with Chinese President Xi Jinping to try to seal a comprehensive trade agreement. In Australia, the ASX 200 traded slightly higher, with most sectors posting gains. 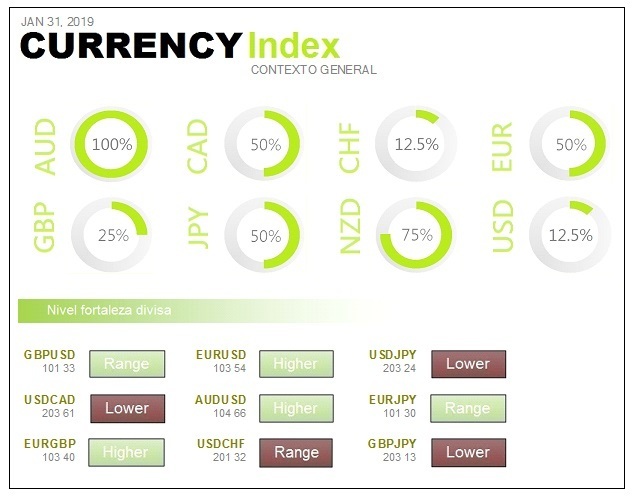 The Australian dollar, often considered a barometer of global risk appetite, fell against the dollar on Friday after the release of the weak Chinese Manufacturing PMI data. The gloomy development of Chinese production has brought global growth concerns back to the forefront, which will likely benefit safe-haven currencies such as the Japanese yen. 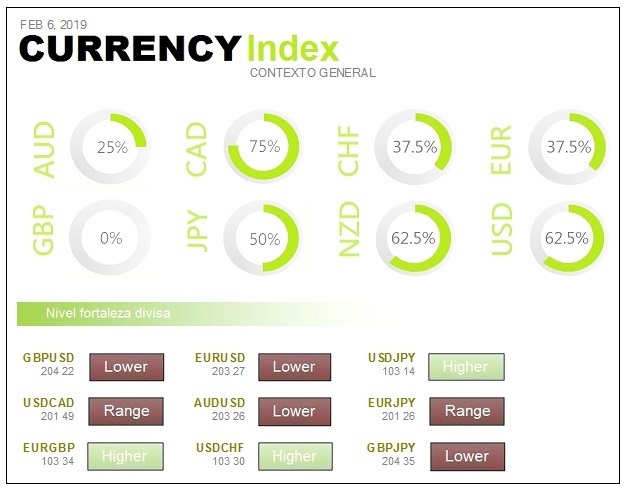 The euro has failed to rise, despite the overall weakness of the dollar, as growth and inflation in the euro zone remain weaker than expected. The British pound remained stable, despite problems arising from uncertainty over the Brexit. Oil prices remained stable during Friday's Asian session. Oil is caught between hopes for trade talks and weak data from China. Gold fell on Friday as investors looked for riskier assets amid optimism that the U.S. and China could reach a trade agreement. However, a pause in U.S. interest rate hikes put the ounce of gold on track for its second week of price increases. S&P 500 shows strong gains closing best month in January since 1987. 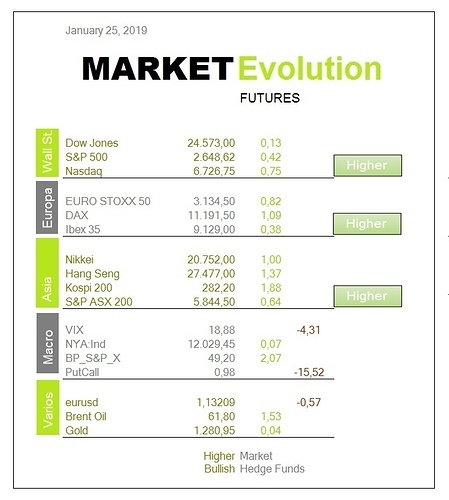 Thursday's January 31 rise follows Wednesday's rise, which was triggered by the Federal Reserve's latest monetary policy statement. U.S. equities rose to close their best January in three decades. Good corporate results, and a Federal Reserve that will stop rate hikes, caused investors to return to the equity market after the decline in risk appetite in recent weeks. Thursday's gain was driven by better than expected results from companies such as Facebook and General Electric. Facebook stocks rose 10.8 percent after quarterly results exceeded expectations. GE shares were up 11.65 percent, thanks to higher-than-expected revenues. These results come in during the week with more business results. The market is now looking for the next catalyst. European equities closed on Thursday 31 January in mixed territory, amid a fall in banks, new corporate results and persistent fears about economic growth. The pan-European Stoxx 600 closed provisionally with little change, with sectors and large exchanges pointing in opposite directions. Banks were the worst performing sector, falling 2 percent. The worst of all was Metro Bank, with an 11 percent drop in the value of its shares. The oil and gas sector led the gains. The euro zone recorded a growth rate of 0.2 per cent in the quarter and 1.2 per cent in 2018. This means that the region maintained its worst growth rate in four years. Brexit also remains the focus of attention. The European Union has told the UK that the current withdrawal agreement will not be reopened, as some British lawmakers have demanded. After World War II, the international community joined forces to build a shared future. Today it must do this again, as Klaus Schwab, founder and president of the Davos Forum, has pointed out. He added that… ‘Instead of closing economies through protectionism and nationalist politics, a new social pact must be forged between citizens and their leaders. Both to make everyone feel safe within their own country and to remain open to the world’. Wall Street shows a mixed tone, after the Federal Reserve ratified the change of focus of its monetary policy. In addition, investors discount a wave of business results that have also been received in mixed form by the market. The central bank complied with the script, removing from its statement the need to make 'gradual increases in interest rates' and changes that expression to 'will be patient' when setting its monetary policy. 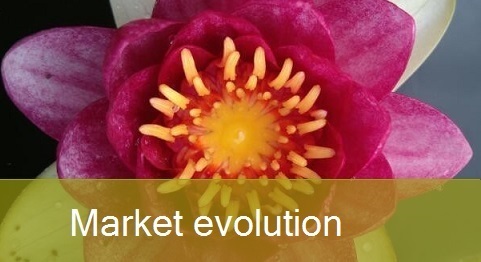 It is a change of approach that Powell had already anticipated but that has been very well received by the market. Facebook actions skyrocket by 12%, after the social network exceeded consensus forecasts. Another very bullish value is General Electric which rebounds by 9%. Microsoft titles are down 3%, because the software manufacturer published figures slightly below the forecasts. Other Dow Jones titles to be published are Visa and Doupont, which have a bearish tone. Tesla drops 2%, after publishing its quarterly issues and announcing the departure of its Chief Financial Officer. Everyone is now waiting for Amazon's results. Although the delegations from both countries have been meeting since Wednesday in Washington, and the US president acknowledges that the negotiations are going well, Trump has said that there will be no agreement until he meets personally with his counterpart Xi Jinping. The meeting is going well, with good intentions and good spirit on both sides. The representatives of China and the United States are trying to reach very broad agreements, leaving nothing unresolved on the table. Asian markets rose on Monday, February 4, with stocks in Japan, Hong Kong and Australia bullish. China's financial markets are closed all week for the Lunar New Year party. Other Asian markets are also closed for part of the week, keeping overall market activity calm. On Monday, the dollar hit a week-long high against the Japanese yen. It was driven by the release of good labour and production data. Employment data, released on Friday, showed that the U.S. economy created 304,000 jobs in January. It is the highest in eleven months and above expectations. Meanwhile, the Australian dollar was weak and the euro remained flat. Oil prices remained stable during Monday's Asian session, largely maintaining the gains of the previous session. OPEC-led supply cuts and U.S. sanctions against Venezuela provided support to the energy market. The fall in production of the Organization of Petroleum Exporting Countries, in its pact to curb excess supply, was aggravated by the fall in counts of U.S. oil platforms and sanctions on sales of Venezuelan oil. The sanctions will drastically limit oil transactions between Venezuela and other countries and are similar to those imposed on Iran last year. On Monday the price of gold dropped, as risk aversion decreased with the advance of U.S.-China trade negotiations. The rise in the dollar also kept gold under pressure. European markets are expected to open up Monday's session. The Dow Jones Industrial Average recorded slight gains on Friday, February 1, after the U.S. government released better-than-expected job growth data. The U.S. economy added 304,000 jobs in January. Analysts expected 170,000 new jobs. The figure marks the 100th consecutive month of growth. Investors had been waiting for the report looking for clues about the state of the economy. However, the report also includes a downward revision of earnings per hour worked. January wages also grew at a much slower pace than expected. In the end, the published employment data has some good things and some not so good things. Friday's moves come after the major indices posted strong monthly gains in January. European equities closed higher on Friday, February 1, with traders awaiting corporate results and major economic reports. 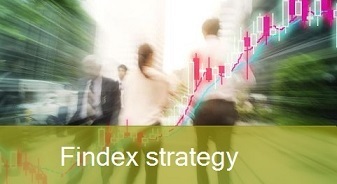 The Stoxx 600 pan-European index closed slightly higher, with most sectors and major exchanges in positive territory. Household goods were among the best sectors. The European banking index led the losses, after bad news of corporate results. Eurozone inflation fell, as expected, in January. Wall Street showed a mixed tone following the release of the January employment report. 304,000 jobs were created, although the unemployment rate has risen to 4%, affected by the closure of the federal government in recent weeks. The figure is positive and shows that the United States continues to create new jobs at a very good pace. But it must be borne in mind that employment is the last to react to economic problems that come from before. The data is positive for the economy, for the market, for the dollar and bad for bonds. The consensus expected the creation of only 165,000 new jobs, which confirms the great strength of the U.S. labour market for another month. The average wage per hour worked has increased by only 0.1%, below the previous 0.3%, which reinforces the Federal Reserve's message that inflationary pressures are currently zero. Another positive development is that the labour market participation rate has risen to 63.2% from the previous 63.1%. The euro area economy grew at an annual rate of 1.8% in 2018. There is a deceleration of six tenths in comparison with the expansion observed the previous year and growth is the weakest since 2014. In the fourth quarter the euro area's GDP rose by 0.2%, in line with the rate of expansion recorded in the previous three months. In the EU as a whole the GDP grew by 1.9% in 2018. The slowdown in the European economy reflects the deterioration in its four main economic drivers. Germany has estimated growth of 1.5% in 2018, its slowest expansion since 2013. France grew by 1.5%, compared to 2.3% in 2017. Spain was 2.5%, compared to 3% in 2017. Italy confirmed its entry into recession in the last quarter of 2018. The business results of the banks in the United States have not pleased at all. It is something that can be transferred to the financial sector. The recommendation of the investment firms remains neutral. On the one hand there is weakness and on the other hand the halt in rate rises is not the most favourable environment for the sector. The big negative protagonist is Amazon, which falls 4% after offering sales data for the first quarter below expectations. The e-commerce giant outperformed its fourth-quarter results, but this was not enough for the market's assessment. The session was very quiet in Asia on Monday 4 February, as many markets in the region close for most of the week due to the Lunar New Year holidays. The Australian dollar rose, reversing previous losses, after the Reserve Bank of Australia kept interest rates at historic lows at its first meeting of the year. However, its monetary policy could be somewhat more aggressive in the future. The key message is that they have noticed that the global outlook is weaker. In Australia there is concern about continued sharp falls in house prices in Sydney and Melbourne and that the third quarter gross domestic product report was a failure. The euro remains stable. The Dollar gains against most of its major counterparts as risk appetite recovers. The dollar rose against the Japanese yen. The British pound remained flat after the up and down of the previous session. Uncertainty remains as to how Britain will leave the European Union. The Canadian dollar strengthens against the U.S. dollar and oil prices rose on Tuesday. They were driven by expectations of a tighter global supply, U.S. sanctions against Venezuela and OPEC-led production cuts. The sanctions will drastically limit oil transactions between Venezuela and other countries and are similar to, but less extensive than, those imposed on Iran last year. Meanwhile, the Organization of Petroleum Exporting Countries' oil supply fell in January to its lowest in two years and Russia has kept its promise to gradually reduce its oil production. Gold fell to a week-long low during Tuesday's Asian trading as risk appetite increased following the release of U.S. economic data. Bond yields rise and the dollar also strengthens, weighing on the price of gold. European markets are expected to open Tuesday's trading session higher. Dow rises more than 150 points as technology shares improve. U.S. stocks rose on Monday, February 4, led by technology stocks and as investors waited for the results of key companies like Alphabet. Facebook, Apple and Netflix shares closed 2 percent higher. But Alphabet's shares fell 2 percent after the company posted slightly worse-than-expected quarterly earnings. Its advertising revenues are falling and its costs are rising. So far, more than 47 percent of S&P 500 companies have reported quarterly results. Of those companies, 68.5 percent have exceeded analysts' expectations. Monday's moves come after the Dow and Nasdaq rose for the sixth consecutive week. The S&P 500 also recorded its fifth gain out of a series of six. U.S. markets last week completed their best monthly result since October 2015. It was a huge rebound driven by the fact that the worst fears did not come true as the Fed was very patient and there have been 100 months of consecutive job growth. European equities closed on Monday, February 4 in mixed territory, while market participants digest another wave of corporate results. European automotive stocks, with their strong exposure to China, led the losses with a drop of more than 1 percent. European banks were also pressured by the release of corporate results. As for economic data, the growth of the UK construction industry fell to its lowest level since March 2018. The survey results show that uncertainty surrounding Brexit has also reached the construction industry, especially commercial buildings. Alphabet, Google's parent company, will publish its results after the close of the market, after last week presented its figures Apple, Microsoft and Amazon. Within this sector also highlights Facebook, which turns 15 years and has been confirmed as a popular and multimillion-dollar social network. The company headed by Mark Zuckerberg was one of the most bullish after publishing their quarterly issues. Now it tries to leave behind the bad streak it has had since the Cambridge Analytica scandal broke. On the other hand, Tesla has bought the battery manufacturer Maxwell Technologies for 218 million dollars. Maxwell shares skyrocket more than 50%. Following the release of the January employment data, investors will be watching for the next wave of business results and economic data. These data will provide clues about the actual state of the U.S. economy. On the other hand, the Fed removed a major concern from the markets last week, when in its post-meeting statement Jerome Powell was very cautious about further rate hikes. Now, the biggest fears are about the U.S.-China trade war and the slowdown in China's growth. Oil peaked in two months due to OPEC-led supply cuts and U.S. sanctions against Venezuelan oil exports. However, prices fell again due to uncertainty about the outlook for the world economy. OPEC and its allies began a new round of supply cuts in January. These restrictions, led by Saudi Arabia, have been aggravated by the drop in production in Venezuela following U.S.-imposed sanctions. following the breakdown of an arms control treaty between Washington and Moscow. Secretary of State Mike Pompeo announced that the United States will formally withdraw from the Intermediate-Range Nuclear Forces Treaty (INF Treaty). Russia says it has also suspended its participation in the agreement, although President Vladimir Putin said the doors to the talks are open. Lavrov said his country is not to blame for breaking the pact. A new era has begun in which the United States decides to move toward the destruction of the entire arms control system. Asian equities rose on Wednesday, February 6, with investors awaiting the U.S. president's address to Parliament. The Asia session followed the good progress of Wall Street, while some important markets in the region remain closed due to the Lunar Year holiday. In Japan, the Nikkei 225 rose. The Australian ASX 200 index was bullish, while the Australian dollar fell sharply during the Asian session. The Dollar rose against most of its major currency pairs on Tuesday. Traders are focused on Trump's speech and the US-China trade war. Trump has also announced that he will meet with North Korean leader Kim Jong Un in Vietnam at the end of February as part of his administration's efforts to curb North Korea's nuclear program. On the other hand, Donald Trump and Jerome Powell met for an informal dinner on Tuesday. Both leaders had the opportunity to exchange views on economic issues to try to reduce the uncertainty surrounding the markets. The continued recovery in risk appetite put pressure on the safe-haven currencies, dragging the Swiss franc and Australian dollar lower. The euro fell against the dollar after a survey showed that euro-zone businesses are weakening. The British pound hit a two-week low, reaching a key level that forced some large investors to cut positions. 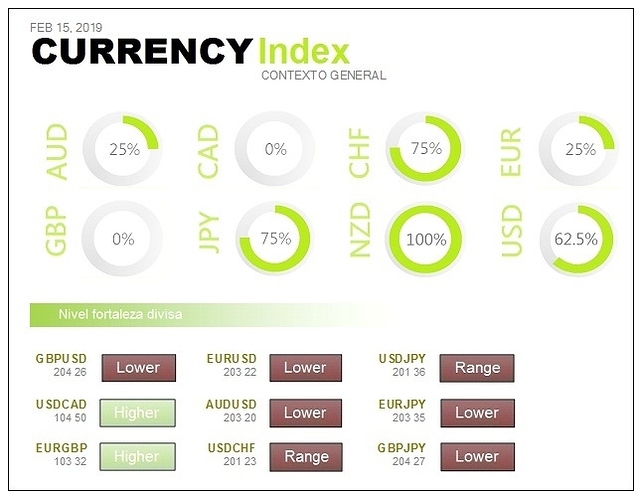 With central banks around the world loosening their monetary policies, and a great deal of uncertainty about trade, the currency market is largely moving flat. This range could continue for some time, until there are more decisive central bank actions, trade negotiations or other events. The Canadian dollar fell against the U.S. dollar as oil prices fell. Oil prices fell on Tuesday after reaching a two-month high and after U.S. manufacturers' purchase orders rekindled concerns about the economic slowdown. Despite the downturn, investors expect U.S. sanctions against Venezuela and OPEC-led production cuts to prevent market saturation. This would cause prices to rise. During Tuesday's Asian trading session, gold was slightly up due to uncertainty surrounding U.S.-China trade relations and awaiting the State of the Union address to the U.S. Congress. A strong dollar and rising global stock markets capped the precious metal's gains. However, there are still political concerns that remain and that are a support for gold. Dow rises more than 150 points before State of the Union address. U.S. equities rose on Tuesday, February 5, as investors awaited President Trump's second State of the Union address and as the corporate earnings season continues. Trump's speech comes more than a week after the end of the longest government close in U.S. history. An optimistic tone is expected, but caution remains in the face of the American economy's problems. The Stoxx 600 pan-European index closed 1.3 percent higher on Tuesday, February 5. All sectors and major exchanges were in positive territory. 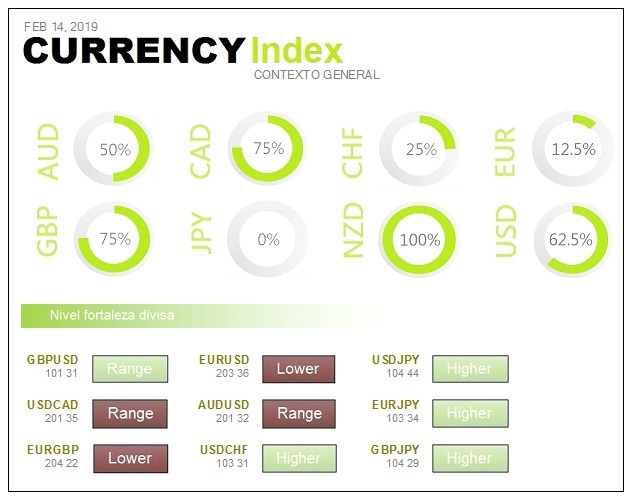 The index reached its highest level since December 3. Britain's FTSE 100 was the best of the day, rising 2 percent, with the pound against the dollar at its lowest level in two weeks. Fears of a chaotic Brexit are back. The European construction sector and materials stocks led the gains, with an increase of more than 2 percent, amid news of good corporate results. The European oil and gas sector was also one of the best performers, with a 1.7 percent increase, thanks to good data from BP. Eurozone retail sales fell in December, as expected. Official data released on Tuesday showed that non-food sales and online purchases dragged retail sales to 1.6 percent m-o-m by the end of 2018. Federal Reserve Chairman Jerome Powell and Vice President Richard Clarida had dinner Monday with President Donald Trump and Treasury Secretary Steven Mnuchin at the White House. Most American presidents meet frequently with the chairman of the Federal Reserve. But, given Trump's criticism of the Fed, it wasn't clear if they would meet. It was their first meeting since the president nominated Powell for the job. The percentage of advertising revenues stood at 23 percent, matching analysts' estimates. It continues to decline, in line with previous quarters. Google continues to grow in its 'other revenue' segment, which includes its cloud business and hardware sales. Alphabet's 'other bets' category, with companies such as Verily and Waymo, fell short of revenue estimates. Alphabet reported on Monday fourth quarter results that exceeded expectations. Even so, stocks fell by 3 percent, due to continued pressure on advertising prices and declining margins. Apple agreed to pay $571 million to the French authorities to pay a retroactive tax. The French tax administration has recently completed a multiannual audit of the company's French accounts. Apple faces pressure from the French government, while finance minister Bruno LeMaire tries to impose a digital tax throughout the European Union. It would represent a 3 percent payment to the revenues of technology giants such as Apple, Google, Facebook and Amazon. It's another new sign of panic as protests increase across the country. According to data from the Venezuelan Central Bank, the money supply increased by 31% last week, its biggest increase since 1997. This monetary policy anticipates more hyperinflation and greater weakness for the bolivar. Maduro is also trying to save his regime by desperately selling Venezuela's gold reserves. After the U.S. has blocked the assets of state-owned oil company PdVSA, it seems that Maduro's only way out is to place Venezuelan gold in international markets. United Arab Emirates has already bought 3 tons of gold, which left the country last January 26 in a flight of the company Solar Cargo. According to official sources, Maduro has already agreed to sell another 11 tons of the precious metal in February. This would increase to 29 tons sold in the last two months. These operations, in turn, will reduce Venezuelan reserves to 80 year lows. Shares in Asia were negotiated on a mixed basis on Thursday, February 7, while U.S.-China trade negotiations continue to move forward. The world reacts to the State of the Union address. Trump spoke about economic recovery in the United States. He also said no one has benefited more from the prosperous American economy than women, who have taken 58 percent of the new jobs created last year. Trump announced a second summit with North Korea in late February and reaffirmed his commitment to build a border fence with Mexico. He also called for an end to investigations into his administration and for bipartisan cooperation. During Thursday's trading, the Australian dollar remained at two-week lows. Investors bet on a cut in interest rates this year, following demonstrations by the Central Bank of Australia, which recognized the growing economic risks. The dollar has gained about one percent against the yen so far this month. Risk appetite has improved, leading to a modest rally in global equities. The euro has lost about 1.3 percent over the last week, while investors are betting that the European Central Bank will maintain an accommodative monetary policy due to weaker than expected growth and low inflation in the eurozone. The pound rose slightly. In February it weakened by 1.3 percent, due to problems arising from the negotiations on the Brexit. The UK is currently on track to leave the EU on 29 March without reaching an agreement. Oil prices fell on Thursday, after U.S. crude oil inventories rose and production levels in the country remained at record levels. The United States is currently the world's largest oil producer, ahead of the main traditional suppliers that were Russia and Saudi Arabia. OPEC-led supply cuts and Washington's sanctions against Venezuela supported energy markets. Gold hit more than a week ago lows, pressured by a stronger dollar. However, concerns about the slowdown in global economic growth and the next new closure of the American government kept gold above the key level of $1,300. Wall Street showed a downward trend in the last session. U.S. equities fell on Wednesday, February 6, as Wall Street reported mixed corporate results and President Donald Trump's second State of the Union address. The real story is about the results, but not the fourth quarter results. It's more about the trend, which has been very weak. On the U.S.-China trade front, Treasury Secretary Steven Mnuchin said on Wednesday that he will return to China next week and that the U.S. is committed to continuing the talks. Mnuchin described recent meetings with Chinese Vice Premier Liu He as very productive. His comments come as the world's two largest economies try to reach an agreement by the early March deadline. European equities closed on Wednesday, February 6, in mixed territory with traders analyzing the latest block of corporate results. The pan-European Stoxx 600 closed just above the flat line, with sectors and major exchanges pointing in opposite directions. European technology stocks led the gains. Regarding economic data, weak foreign demand unexpectedly dragged German industrial orders down in December. Official figures showed that exporters in Europe's largest economy are being negatively affected by the global slowdown and rising trade barriers. The weakness of the manufacturing sector is partly to blame. The euro-area private sector economy remains at a five-and-a-half year low at the start of 2019 due to the lack of momentum in France and Italy. A downward revision of GDP is anticipated for the first quarter. The final composite index of total activity in the euro area remains at 51.0, compared to December's figure of 51.1. The PMI for commercial activity in the services sector remains at 51.2. In France, total activity declined for the second consecutive month at the fastest pace in more than four years. Total Italian private sector activity deteriorated for the third time in four months and at the strongest pace in more than five years. Employment growth in the euro area was the weakest in 28 months. The volume of retail trade in the euro area declined by 1.6% in December compared with the previous month. For the European Union as a whole, retail sales fell by 1.4% in December, compared to an increase of 1 percentage point in November. In year-on-year terms, it rose by 1.2%. Within the monthly data for the euro zone, only an increase in sales of automobile fuel was observed. The biggest falls were in Internet purchases and sales of textiles and electrical goods. Among the countries for which data are available, the largest increases in retail sales were in Austria, Portugal and Ireland. The sharpest declines were in Germany, Sweden and Estonia. The President of the European Council, Donald Tusk, said that those who promoted the UK's exit from the European Union, without a plan on how to do it safely, have a special place in hell. He added that the pro-Brexit stance of the British Prime Minister and the leader of the opposition rules out the possibility that the exit will not take place. Tusk stressed that he knows that still a large number of people in the United Kingdom want the annulment of the brexit. Tusk added that today the most important task is to prevent an exit from the UK without agreement and stressed that the European Union is not going to make a new offer to London, despite the fact that May will travel to Brussels with the intention of renegotiating. Gerald Cotten was the CEO and founder of QuadrigaCX, Canada's largest cryptomoney investment company. Cotten died on December 9 at the age of 30 from complications of Crohn's disease. He took with him the password to access millions of crypto currencies from some 115,000 customers. The company, which has filed for bankruptcy, is looking for a way to decrypt the 180 million Canadian dollars in a password-protected wallet without an Internet connection to prevent hacking. QuadrigaCX has consulted with an expert who has had limited success in recovering some coins and certain information from computers and phones. At the moment, most of the data remains intact inside the computer. Apart from the previous news, after the evolution appreciated in the cryptodivisas, some experts think that the bitcoin could sink to zero. Asian stocks fell on Friday, February 8, amid growing concern over the U.S.-China trade dispute. With Chinese markets still closed for holidays, the rest of the Asian markets that have reopened operate at half gas. Traders are once again faced with the possibility that the US and China will resume their trade war when the deadline comes, in March, without having reached an agreement. On Thursday, February 7, US stocks fell sharply when it became known that the meeting between President Donald Trump and Chinese President Xi Jinping would not take place before the March deadline. White House economic adviser Larry Kudlow said China and the United States are still far from reaching a trade agreement and there is considerable distance to travel. The Dow dropped more than 200 points. The dollar hit a two-week high Friday as demand for safe assets increased as uncertainty grew over the slowdown in global growth. These concerns became apparent on Thursday after the European Commission drastically cut its economic growth forecasts for this year and next. Declining growth in the largest countries in the bloc, global trade tensions and domestic challenges are the main reasons for concern. The dollar index has risen for six consecutive sessions. This is mainly due to the weakness of the euro. 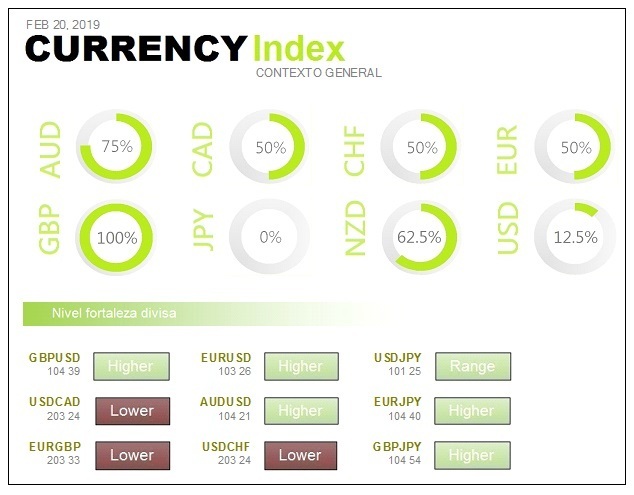 The single currency has stumbled on weaker than expected growth data and the expectation that the European Central Bank will maintain an accommodative monetary policy throughout this year. Analysts estimate that Japanese demand for foreign bonds has supported the dollar and the yen. Meanwhile, the Australian dollar fell as the Reserve Bank of Australia cut its growth forecasts. The Pound will remain volatile in the short term due to the uncertainty surrounding Brexit. Canada is a major producer of raw materials, including oil, and the loonie has been under pressure due to falling energy prices. The Bank of Canada said in January that low oil prices and a weak housing market hurt the economy in the fourth quarter of 2018 and will continue to negatively affect growth in the first quarter of this year. The energy sector declined during Friday's Asian session. In financial markets, including oil futures, there is concern that trade disputes between the US and China remain unresolved. Gold stood firm on Friday on concerns that a prolonged trade war between China and the United States could lead to a global economic slowdown and a search for safe haven assets. Dow drops more than 200 points as Trump won't see Xi before the deadline. U.S. equities fell sharply on Thursday, February 7, when it became known that the meeting between President Donald Trump and Chinese President Xi Jinping would not take place before the March deadline. White House economic adviser Larry Kudlow said that China and the United States are still far from reaching a trade agreement and there is a considerable distance to travel. So far this year, the Russell 2000 small-cap index has advanced 12.9 percent, versus a 9 percent gain for the S&P 500 benchmark. The performance of small-cap stocks often reflects investors' appetite for safe assets. Although the debt-to-equity ratio for the S&P 500 is higher than for the Russell 2000, small-cap companies are considered to be more sensitive to debt problems. This type of company usually obtains financing through bank loans with adjustable interest rates rather than fixed rate bonds. Last year's rise in interest rates means that more highly indebted companies will find it difficult to meet their payments. In addition, the number of companies struggling with debt obligations is close to a record level. All factors were negative on Thursday, February 7. Business results, trade war negotiations, UK's exit from the European Union and economic environment. The day began badly with news coming from Germany, where industrial production has fallen more than expected. The Association of German Chambers of Commerce and Industry has lowered its growth forecast for 2019. It goes from 1.7% to 0.9%. Moreover, it does not support the prospect of a UK exit from the European Union without an agreement. In the insurance asset market, German fixed income has revenues and also that of the periphery, except for Italy which has been damaged by the European Commission's strong review of growth prospects. The diplomatic conflict with France, which has led the French to call for consultations with the Italian ambassador, is due to the fact that the Italians publicly supported the yellow vests. The Pound experienced a volatile trading day on Thursday. It was a key day for the renegotiation of the Brexit withdrawal treaty. British Prime Minister Theresa May has trying to get the concession from the European Union to reopen negotiations to amend the political declaration accompanying the agreement. On the other hand, the Bank of England's pessimism has negatively influenced the currency market. The pound has reached its two-week low. At the end of the session, the European Union's new stance supported the British currency. Analysts point out that after the publication of the BoE minutes, and its five-tenths cut in growth, the market is drawing the conclusion that the price of money will remain at current levels. The BoE has reiterated that it could lower interest rates, or raise them, after the Brexit. It will depend on how the process develops. The bank could reduce borrowing costs to help the economy or increase them to protect the pound and fight inflation. Caution has been imposed among investors because, although Brussels has changed its attitude, the withdrawal agreement remains non-negotiable. The negotiations on Brexit, from the outset, were conducted in the context of a shared determination to achieve a strong partnership for the future. The President of the European Commission has expressed to the British Prime Minister his willingness to add a text to the political declaration, agreed by the 27 and the United Kingdom. The aim would be to be more ambitious as regards the future relationship between the European Union and the United Kingdom. German industrial production declined by 0.4% in December 2018 in comparison with the previous month. It should be remembered that this country is the driving force behind the European Union. Energy generation remained at the same level as in November whilst production in the construction sector contracted by 4.1%. In view of the fall in demand and the most important indicators, it is to be expected that German industrial activity will continue to develop moderately. The White House economic adviser says there is still a substantial gap in the negotiations between China and the United States. Those demonstrations have come as a surprise a few days before new talks take place, this time in China. Perhaps the speech is part of the strategy, imposed by Trump, of continuing to tighten the situation in order to achieve a better deal for his country. The attempt to rebound on Globex, because of the signs of buyer interest, is in danger after Kudlow's comments. On Monday, February 11, Asian markets were mixed and investors were watching the U.S.-China trade situation. Negotiations will continue in Beijing later this week. The two countries have yet to draft the issues on which they agree or disagree. Both countries are trying to reach an agreement before the early March deadline, after which import tariffs will apply. U.S. negotiators will press China this week to reform, among other things, the way it treats the intellectual property of U.S. companies. China's markets, which were closed for much of last week's Lunar New Year holidays, recorded gains at the end of Monday's session. In Australia, the ASX 200 lost its initial gains and fell at the end. Australia's heavily weighted financial sub-index declined as the shares of the country's four major banks weakened. Investors' concerns were compounded by the collapse of talks between Democratic and Republican legislators over the weekend, amid a clash over immigration detention policy, which led to fears of another government closure. The U.S.-China talks will be the focus of the week and the strength of the dollar, as a safe haven, is indicative of the cautiousness of the market at this time. During Monday's Asian trading session, the U.S. dollar rose against most of its major currency pairs to a six-week high. 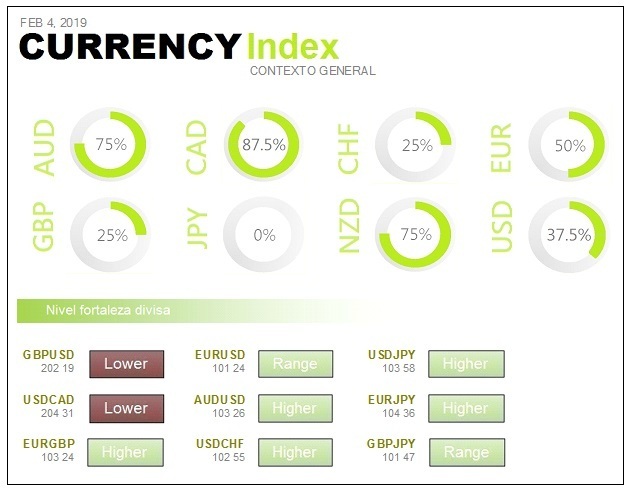 The Australian dollar and the euro are at vulnerable levels at the moment, and a decrease in risk appetite may lead to a further decline in these currencies. The Dollar rose against the Japanese Yen. However, traders expect the dollar and yen to be small on Monday, as Japanese markets remain closed due to a holiday. Oil prices fell by about 1 percent on Monday as U.S. drilling activity recovered. However, the fire at a refinery in the state of Illinois, which caused the closure of a large crude distillation unit, also affected prices. Gold remained stable on Monday, supported by uncertainties surrounding the trade war and concerns about the slowdown in global economic growth. A strong dollar weighs on the precious metal. Fears about trade and global economic growth. On Friday, February 8, U.S. markets had a busy day, with investors concerned about the U.S.-China trade talks and the slowdown in global economic growth. During the last few minutes of the session, the main indices rose sharply. This helped the Dow and Nasdaq record their seventh consecutive weekly gains. The S&P 500 also recorded a small gain during the week. At their day lows, the S&P 500 and Nasdaq had each fallen 0.9 percent, while the Dow had lost 286 points. The European stock market closed down on Friday, February 8, amid fears about trade relations and the slowdown in global economic growth. On Thursday, the European Commission drastically lowered its economic growth forecasts for the euro area for 2019 and 2020. This rekindles fears that the global economy may be slowing down. The pan-European Stoxx 600 closed down, with most sectors and major stock exchanges in red. Automobiles were the worst performers. Both the European Commission and the Bank of England have drastically reduced their growth forecasts. Problems over a Brexit without an agreement are negatively affecting the economies of both sides. Banks are spending billions to keep up with technology. They need to upgrade their old and legacy systems. But companies that don't have billions of dollars to invest in that effort are forced to be creative. One option is to work as a team. BB&T and SunTrust announced that they would take that route on Thursday. They do so in part to remain competitive in today's digital landscape and both companies plan to merge, with a $66 billion deal. They will become the sixth largest bank in the United States. The resulting bank will be in a better position to invest in cyber defense, compete in mobile telephony and automate existing systems. Donald Trump has ruled out meeting with Xi Jinping before the March 1 deadline. That deadline was set to reach an agreement before the final implementation of the tariffs. The news has had a negative impact on the markets, which now see the resolution of the trade war between the world's two largest economies moving away. Another issue that does not contribute to optimism is that Trump plans to sign an executive order in the coming weeks banning Chinese telecommunications equipment on U.S. wireless networks. The meeting that will take place is that of Trump and Kim Jong Un, which will take place in Vietnam on 27 and 28 February. In that meeting they will discuss North Korea's nuclear program. Concerns about global growth continue after the European Commission and the Bank of England cut growth forecasts for the euro area and the UK. Supply cuts provided some support for crude oil. OPEC leader Saudi Arabia cut production in January by about 400,000 barrels a day. Sanctions on Venezuela will reduce the market share between 300,000 and 500,000 barrels per day. Libya's National Petroleum Corporation said Friday that its largest oil field, out of service since December, will remain closed until security is restored. On the other hand, there is a far-reaching rumour affecting Iran. It appears that the United States will not renew the sanctions imposed on that country. Even with the rise on Friday weekly losses were recorded in crude oil as a result of concerns about the global economic slowdown. There's a positive point coming from France. Industrial production grew more than expected in December. Although it does not manage to recover the decline it had in November. The negative side comes from Italy. The European Commission is lowering the country's growth prospects. In addition, a diplomatic confrontation is taking place between Italy and France, for the support to the yellow vests. Industrial production is negative again in December in Italy. Asian equities made gains on Tuesday, February 12, with Japan leading the way. The Nikkei 225 rose 2.59 percent at the end of the session. China's markets were also bullish. The ASX 200 in Australia recovered from its previous decline and rose slightly, with most sectors on the upside. The struggle to avoid another government shutdown has stalled and the deadline for Congress to reach an agreement on border security is approaching. Efforts to avoid the second partial funding closure of the year have met with an obstacle, according to the Democrats. The Republican side also expressed concern. Although the two major parties have no interest in another closure, the ongoing dispute over immigration policy does not make it easy to reach agreements. 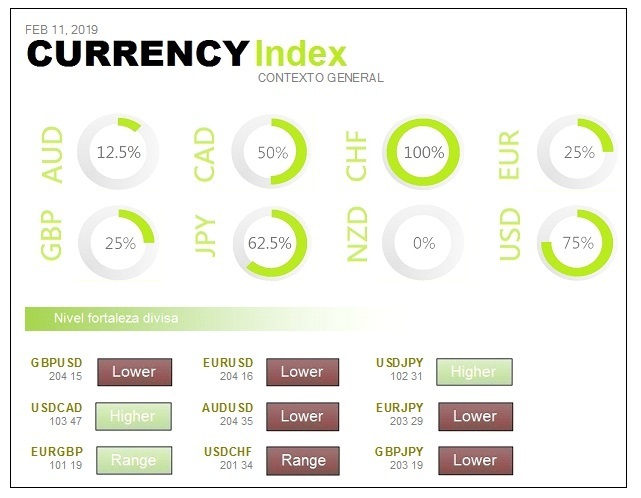 On Tuesday, the dollar was stable against most currencies. It is at year highs. Investors are focusing this week on high-level trade talks in China. The dollar is benefiting from investors' nervousness over disputes between China and the United States. While Beijing showed some optimism, it also expressed anger over the U.S. Navy's mission in the South China Sea. Every day some element appears that generates uncertainty about the possibility of reaching agreements. The euro has weakened for six consecutive sessions. Traders expect further declines, now that the psychological support of 1.13 dollars has been broken. In addition, the European Central Bank is expected to maintain a highly accommodative monetary policy this year, as growth slows in the euro zone and inflation remains low. The pound rose, after falling against the dollar in the previous session. Analysts expect the pound to remain volatile due to the uncertainty surrounding Brexit. The British Parliament will hold a debate on 14 February, in which Prime Minister Theresa May will seek support for her agreement with Brussels. The Australian dollar, often considered an indicator of global risk appetite, was bullish as risk appetite improved. Oil prices fell on Monday as concerns over the resumption of US-China trade talks overshadowed support for OPEC-led supply restraint. A stronger dollar makes gold more expensive for holders of other currencies. SPDR Gold Trust, the world's largest gold-backed publicly traded investment fund, recorded capital outflows for five consecutive sessions last week. U.S. stocks staggered on Monday, February 11. Investors are considering a deal between the United States and China to end the ongoing trade war. The market is waiting for clear information on the trade and geopolitical issues that remain open. Given the current uncertainty, it does not appear that the market will move too much up or down. The markets now seem to be at a turning point, where it is yet to be decided which catalyst will generate significant new movements. European stock markets closed higher and investors await the new round of U.S.-China negotiations. The Stoxx 600 pan-European index closed slightly higher, with all sectors and major exchanges in positive territory. The banking sector was among the best and Italian banks received a strong boost, following reports that their capital reserves were above the levels required by the European Central Bank. By the end of this week, the two largest economies in the world are expected to meet again. They will try again to reach agreements before the imposed deadline of 1 March. If there are no agreements, an important battery of tariffs will be imposed in both directions. In addition, the government agreement between Democrats and Republicans is another of the investors' concerns. This weekend Trump himself threatened a new closure of the government after the previous one, which lasted for 35 days. The eurozone economy and finance ministers will discuss the nomination of Bank of Ireland Governor Philip Lane as the new Chief Economist of the European Central Bank. They will also discuss the design of the future budgetary instrument for the area of the single currency. Lane is the only candidate to replace the current chief economist, Peter Praet, when his term ends on 31 May. Unless he is surprised, the Irish will get the qualified majority he needs to be nominated. The council of economic incumbents across the European Union will then have to officially confirm the decision. Lane's candidacy for the executive board of the European Central Bank has been awaited since last year, when Ireland proposed him to assume the vice-presidency. On that occasion the Irish withdrew in favour of Luis de Guindos. Mario Draghi's successor will be elected in October. The UK's gross domestic product grew by 1.4% in 2018, compared to 1.8% the previous year. It expanded by only 0.2% in the last quarter of last year, compared to 0.6% in the previous three months, due to a decline in construction and industrial production. It is estimated to be a consequence of the Brexit process. The uncertainty surrounding the country's exit from the European Union led to a drop in business investment of 1.4% between October and December 2018, the fourth consecutive quarter in which this indicator falls. With these data releases, the pound depreciated against the dollar. Crypto currencies face a prolonged bear market. Companies that issued digital coins may have to sell their assets to finance their operations. There is only one problem: there are very few stakeholders. Crypto currencies have plummeted, eliminating about 85% of their total market value since they peaked at more than $800 billion in early 2018. Bitcoin has fallen more than 80 percent since reaching an all-time high of nearly $20,000 in December 2017. Global regulatory repression, spearheaded by the U.S. Securities and Exchange Commission, has created fears about greater oversight for inter-company payments. About 1,000 of the companies that conduct their transactions in crypto currencies failed in the last year or their projects have been abandoned. Although a cap was set on the total number of crypto currencies, to help preserve their value, this has not prevented oversupply as demand has plummeted. The total number of bitcoins that could be created is about 21 million, of which some 17.5 million have already been minted, representing 83% of the total. Asian markets rose mostly on Wednesday, February 13, amid positive sentiment about US-China negotiations. China's markets were bullish. Japan's Nikkei 225 extended gains from the previous session. South Korean Kospi also showed a positive tone. On the other hand, Australia's ASX 200 fell slightly. The major oil company Beach Energy rose by 6.07 percent, after it announced an increase in its sales revenue and a better forecast for 2019. President Trump said on Tuesday that he has reservations about the agreement reached to keep the government funded, but does not believe that a new closure is positive in such a short time. The president did not immediately commit to sign the agreement. The draft does not contain the funds requested for the border fence with Mexico. Investors also focused on U.S.-China trade talks as the two countries try to reach an understanding before the March deadline. Both sides expressed hope that the new round of negotiations, which began in Beijing on Monday, will have a satisfactory outcome. 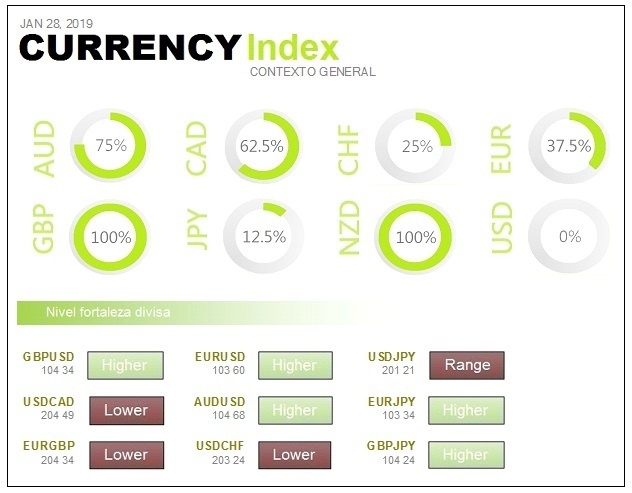 On Wednesday, the dollar fell sharply against most currencies as uncertainty led investors to invest in the euro and Asian currencies. The euro has bounced back from a significant support level and can expand its gains with a renewed risk appetite. Oil is up 1 percent as OPEC supply cuts and sanctions on Venezuela remain active. The Organization of Petroleum Exporting Countries, which Saudi Arabia leads, said on Tuesday that it had reduced its production by nearly 800,000 barrels per day in January. On the other hand, Venezuela has tried to find alternative customers, especially in Asia, but pressure from the United States means that many buyers do not choose this route. Oil production is falling rapidly and companies that normally resell Venezuelan crude have not found ways to mitigate the effect of U.S. sanctions. Gold rises with a weak dollar and traders are looking for more clarity on the subject of trade negotiations. Investors cling to the precious metal as a safe asset. European markets are expected to open up Wednesday's trading session. 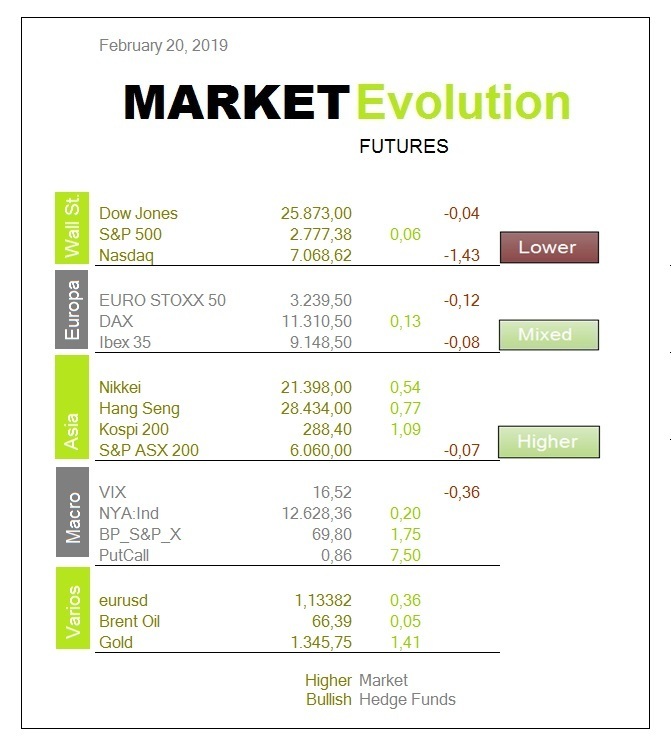 U.S. indices rose on Tuesday, February 12, amid news that U.S. lawmakers had secured an agreement for government funding. The improved outlook for a U.S.-China trade agreement also boosted the stock market. It looks as if a further closure of the government has been avoided and this is good news for the market. The shares of the big banks were very bullish. The SPDR S&P Bank ETF rose by 1.2 percent. Goldman Sachs, Citigroup and Morgan Stanley were up at least 1.6 percent. Bank of America and J.P. Morgan Chase also gained at least 1 percent. Shares in Europe closed positively on Tuesday 12 February. The Stoxx 600 pan-European index closed with gains of 0.5 percent, with most sectors in positive territory. The automotive sector led the gains, optimistic about the progress of the U.S.-China trade talks. Michelin was the highest performing company in the whole of Europe, after offering a very solid outlook for 2019. The Prime Minister of the United Kingdom informed Parliament on Tuesday about the evolution of the Brexit negotiations. May said she needs time to complete the process with the European Union. Parliament will take another vote, which seems final, on 26 February. European Union negotiator Michel Barnier said on Monday that time is running out to find a compromise on the Irish border and the UK is scheduled to leave the Union on 29 March, apparently without agreement. The Governor of the Bank of England said on Tuesday that Britain should have no illusions if it leaves the European Union next month without a transitional agreement. The UK is on track to leave the European Union on 29 March without reaching an agreement. There are only 45 days left for that possibility. Carney says that a Brexit without agreement and without transition would be an economic shock to the British economy. A weaker pound could help absorb the economic shock and would be part of the adjustment mechanism. However, it is not a step towards prosperity but a blow to incomes. Last year, the Bank of England said the worst-case scenario could be more damaging to Britain than the global financial crisis of a decade ago. The number of unfilled jobs in the United States increased last December to an all-time high of 7.33 million vacancies. The largest increases in job vacancies were in construction, ahead of food services and the health care and assistance sector. In contrast, the level of available jobs recorded the largest falls in the manufacturing of non-durable goods and also in public administration. The unemployment rate in the United States rose to 4% in January, despite the creation of 304,000 new jobs in the first month of the year. If anything the latest round of corporate results has shown it is that traders are not always right when it comes to U.S.-China trade negotiations. We act as if the winners and losers of the trade war were obvious, but the reality is not so clear. Many companies that should be suffering have given surprising figures. White House officials have confused Wall Street, in recent weeks, with their statements about the trade talks. As a result, short-term traders have had to follow their instincts. It is advisable to be wary of industries with Chinese exposure and especially technology companies related to that country. Congressional negotiators reached an agreement on Monday to finance the government and avoid closure. President Trump spoke in Texas shortly after the agreement was announced, and so far he has not agreed with the outcome of those negotiations. Once again, the prolongation of the funds for the government will depend on the attitude of the American president. If he approves the current temporary proposals, the long-awaited funds to build the wall will still not arrive. Asian equities were traded cautiously on Thursday, Feb. 14, as investors sought to advance the trade dispute between China and the United States. Japan's gross domestic product grew to 1.4 percent in the October-December period last year. Australia's ASX 200 lost its initial gains, to trade almost unchanged at the end of the session. The financial subindex plummeted in that country. South Korean Kospi was bearish. China's markets were mixed at the end of the morning session, while the U.S. president may be considering extending the deadline for reaching a trade agreement with China. In Washington, the chaotic dispute continues to prevent the closure of the government. There are only two days left before the deadline. The media says Donald Trump is expected to sign off on what legislators approve. However, the president said that 'we will look for landmines' in the form of unwanted proposals once the plan is finalized. The dollar remained at a three-month high, boosted by strong U.S. inflation and weaker than expected data releases from Europe. The euro was trading below the $1.13 support level. 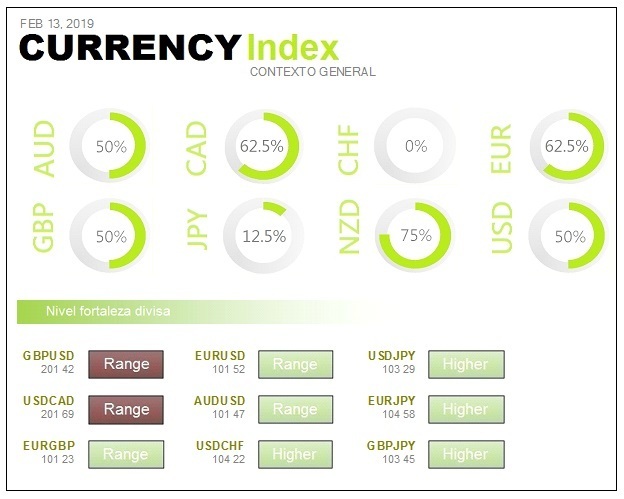 The single currency fell by 1.63 percent in February, as economic data in the eurozone was weaker than expected and expectations from the European Central Bank will remain very flexible this year. Eurozone industrial production fell more than expected in December. The Australian dollar, often considered a barometer of global risk appetite, rose by 0.3 percent. The strength of the Australian dollar was boosted by economic data from China, Australia's largest trading partner. China's exports in January were up 9.1 percent on the previous year, while imports fell 1.5 percent, exceeding analysts' expectations. Oil prices rose in the Asian session on Thursday. They were supported by the hope that progress in the China-U.S. talks will improve the global economic outlook. In addition, China's crude oil imports exceeded expectations. U.S. crude oil inventories rose last week to their highest level since November 2017, while refinery production remains at its lowest level since October 2017. Gold prices rose on Thursday, as good US inflation data supported the expectation that the Federal Reserve will stop interest rate hikes this year. Dow rises for second consecutive day as Wall Street applauds possible trade agreement. U.S. equity indices rose on Wednesday, February 13, while investors expect Chinese and U.S. authorities to reach an agreement before the early March deadline. Wednesday's gains add to a strong rally in the previous session. The energy sector was driven by rising oil prices. In the S&P 500 it gained more than 1 percent. Positive sentiment in stock markets is also linked to an interim agreement on border security financing. This could prevent another government shutdown. European stock markets closed on Wednesday 13 February with an uptrend, amid renewed optimism that the world's two largest economies might be able to resolve their longstanding trade dispute. The Stoxx-600 pan-European index closed slightly higher, with most sectors and major exchanges in positive territory. Europe's core resources, with their strong exposure to China, were the most profitable. Travel and leisure were another of the highest earning sectors, amid the sector's good corporate results. UK inflation fell to its lowest level in two years, below the Bank of England's target. Official data shows that consumer prices in the UK rose at an annual rate of 1.8 percent in January, after an increase of 2.1 per cent at the end of last year. On the other hand, industrial production in the euro area was weaker than expected in December. 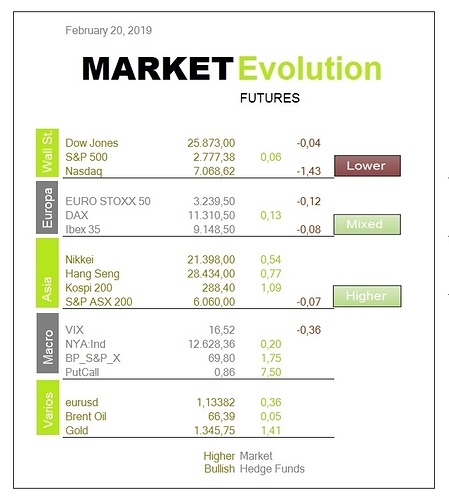 The Dow, the S&P 500 and the Nasdaq had their best day of February on Wednesday the 13th. The Dow ends with a four-day losing streak. The S&P 500 and Nasdaq rose for the third day in a row. Market sentiment is a reflection of successive events. In this regard, Trump has said it considers postponing the deadline for imposing tariffs on China if both countries manage to reach a trade agreement soon. When asked if he will meet Chinese President Xi Jinping at the end of March, Trump said: 'Not at this time'. The Asian country seems on the verge of reaching a current account deficit, according to Morgan Stanley. The current account of the Chinese economy is in long-term decline and future growth will increasingly depend on foreign capital. The last time China had a current account deficit was in 1993. A country may need to borrow money when it is in deficit. When there is a negative balance, it means that the total value of the goods, services and investments that it imports exceeds the total value that it exports. The manufacturer of electric vehicles faces strong competition. Tesla has been introduced at Gigafactory 3 in Shanghai and has big ambitions in China. There it faces serious competition from a mix of Chinese and foreign car manufacturers who already produce electric vehicles. Brands that are already introduced in the Asian country are: BYD, BAIC Group, SAIC and Nio on the one hand. BMW, Mercedes, Audi and Toyota on the other hand. They're doing it despite the market rally. The collapse of stock markets in the fourth quarter of 2018 continued to impact investors in January. Many provided liquidity despite recent stock market rises. The latest survey of Bank of America Merrill Lynch fund managers, which measures where professionals are positioning themselves, showed the largest net cash position since January 2009. Pessimism was so high that 34 percent of the 173 respondents said they believe the S&P 500 peaked at the end of 2018. The flow to equities dropped 12 percentage points to its lowest level since the market turbulence of September 2016. Most Asian markets fell on Friday, February 15, as investors waited for the U.S.-China trade negotiations in Beijing. Mainland Chinese markets were mostly bearish. The moves came after China's January inflation data did not meet expectations. Australia's ASX 200 resisted the general trend in the region and rose by around 0.2 percent at the end of the session. Most sectors traded higher. Japan's Nikkei 225 fell 1.23 percent. South Korean Kospi lost 1.49 percent, as the shares of Samsung Electronics and chip maker SK Hynix fell more than 3 percent. The main focus of the Asian market on Friday remains the result of high-level U.S.-China trade talks. Earlier in the week, markets had praised the US president's optimistic assessment of the talks. White House economic adviser Larry Kudlow said the two main administration negotiators will meet Friday with Chinese President Xi Jinping, but no decision has been made to extend the March 1 deadline to reach an agreement. President Donald Trump will sign a spending bill to prevent the closing of the government while declaring a national emergency to try to build its border wall with Mexico. U.S. retail sales recorded their biggest drop since September 2009, according to Thursday's data. It is a sign of weakness in the consumer sector. This is a sector that represents more than two-thirds of the economy. 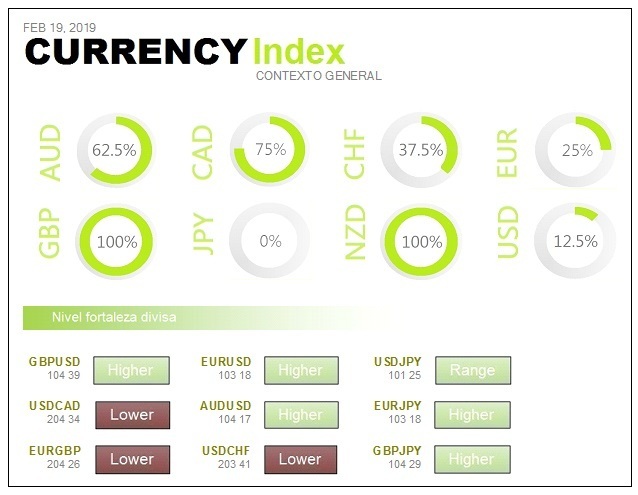 The dollar and Japanese yen are indicators of risk aversion. The dollar fell against the Japanese yen on Friday, as disappointing U.S. retail sales data reinforced expectations that the Federal Reserve will not raise interest rates this year. Meanwhile, the market is awaiting the development of the Washington-Beijing trade talks. 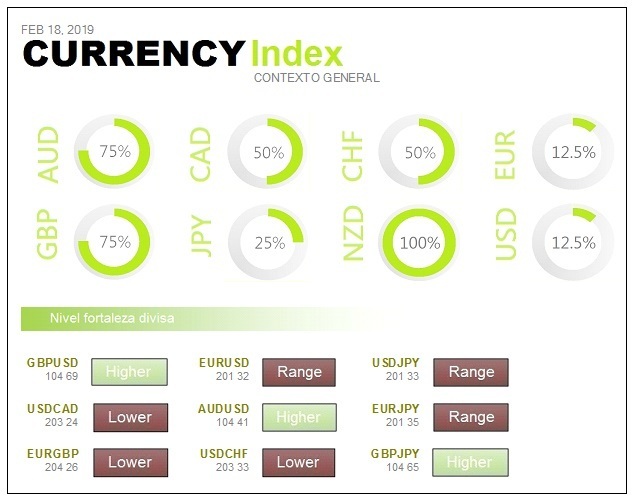 Against the EUR, the Yen rose 0.24 percent, while on Thursday it rose 0.2 percent. The Australian and New Zealand dollars declined. The euro lost 0.4 percent this week due to weaker than expected euro zone data. The Brent price reached its 2019 high on Friday. It is above $65 a barrel, boosted by U.S. sanctions against Venezuela and Iran, as well as OPEC-led supply cuts. The Organization of Petroleum Exporting Countries and some unaffiliated suppliers, including Russia, are withholding supply in order to restrict the market and shore up prices. The main exporter, Saudi Arabia, said it would cut production in March even more than the agreement requires. Russia has reduced its oil production by about 90,000 barrels a day from its October level. To counteract these declines, U.S. crude oil production, which increased by more than 2 million barrels a day last year, has made the United States the world's largest oil producer. During Friday's Asian trading session, gold was traded in a narrow range, while concerns about the global economic slowdown prompted the purchase of safe haven securities. U.S. retail sales data is a good reason for the U.S. Federal Reserve not to raise interest rates this year, which is supposed to be good for gold prices. Wall Street losses after a very negative retail sales figure. Wall Street recorded a 0.4% loss on Thursday, February 14, following a poor retail sales figure for December. Retail sales in December were down 1.2%, well below the expected 0.2% rise. In addition, sales excluding cars were down 1.8%, well below the 0.1% expected. This is the biggest monthly decline since 2009. These figures are expected to change next month, as they do not match the record sales recorded in the Christmas week or the data from the Redbook index. The consumer is no longer enjoying tax cuts, or falling gasoline prices, but that is no reason to expect a reversal of such a strong positive trend in such a short time. On Thursday 14 February, Germany's gross domestic product for the last quarter was closely monitored. It is assumed that Italy is in technical recession, but Germany is also one step away from entering it. In the end, the last quarter's reading is flat, i.e. no growth but no destruction of wealth. They did not enter into a technical recession for very little. The future performance of the European Eurstoxx 50 index is a cause for concern. Technically, we can see that, if we are creating a maximum for the current year, it has turned around and also shows a bearish divergence in the RSI. This is a sign of imminent weakness, in the absence of confirmation. An agreement has been reached that includes almost 1.4 billion dollars for new physical barriers on the border with Mexico, but not a wall as the president intended. The month of December saw an unprecedented closure after Trump's request for $5.7 billion to help build a wall on the U.S.-Mexico border was rejected. Now the Democrats are giving in, in part, to avoid another collapse of the American administration. With all the investors worried about the trade war and the Federal Reserve's plans, what really worries Jim Cramer are 'the jeans'. ‘The biggest threat to this bull market is the cowboy’, he said in Mad Money. Levi Strauss has submitted documentation for its IPO. It's a move that will likely cause many investors to sell shares of other strong companies, such as PVH and Ralph Lauren, in order to get into that company's IPO. They're not just jeans. 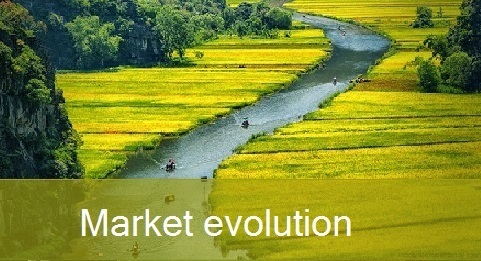 We are about to receive a tsunami of new public offerings, which will flood the market with new stocks. What is going to happen is that there is not enough incoming money, in equities, to be able to handle all this supply. Cramer's concern has to do with supply and demand. 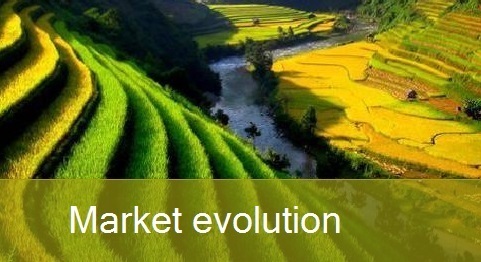 When you receive a wave of new offerings, without any increase in demand, what happens is that the prices of all shares collapse. Goldman Sachs CEO David Solomon said the chances of a recession are quite small, even though the rate of economic growth is slowing. There is no doubt that the growth momentum in the United States has slowed. However, you should see reasonable growth throughout the year. The possibility of recession in 2019 is quite small and the expansion should probably continue. The American stock market is off to a good start this year, but the economic situation remains worrisome. Meanwhile, optimism among small business owners fell for the fifth consecutive month in January. Another wave of store closures is expected to affect shopping malls this year. Retailers have already announced 2,187 new store closings since January 1. And there are potentially many more closings on the way, due to the number of companies going bankrupt. Analysts say the U.S. is still 'overstocked,' especially when compared to other countries. As more purchases are made online, there is less need for so much real estate. In fact, retailers who are still opening new stores do so with another configuration closer to the customer. Most Asian markets were in positive territory on Monday, February 18, while U.S.-China trade talks will move to Washington this week after the conclusion of high-level meetings in Beijing. Mainland Chinese markets were bullish at the end of the session. Japan's Nikkei 225 rose. South Korean Kospi won slightly, with Samsung Electronics revaluing again. Australia's ASX 200 traded higher at the end of the session, as most sectors recorded gains. The energy sub-index rose as oil company stocks advanced. The Australian government announced that the National Parliament's computer network had been attacked in February. Prime Minister Scott Morrison said experts believe the attack comes from a close and very sophisticated actor. Despite Monday's gains, strategists warn that equities remain risky at the moment. U.S. indices rose Friday amid rising hopes for a U.S.-China trade agreement. The week ended with solid weekly gains. The S&P 500 gained 1.1 percent, led by the energy and industrial sectors. Energy companies were driven by rising oil prices in recent days. Both the U.S. and China reported progress after five days of negotiations in Beijing. Still, the White House said much work remains to be done. Negotiations will continue in Washington, as investors wait for an end to the trade war between the world's two largest economies. The dollar fell against most currencies Monday. Investors moved away from the safety of the dollar and took refuge in riskier assets. The euro will continue to be under pressure this week. The dollar against the yen could also fall if risk aversion increases. Oil prices weakened on Monday, after rising to their highest level this year in previous days. China reported that car sales in January fell for the seventh consecutive month, raising concerns about fuel demand in the world's second largest oil consumer. On Monday, gold prices reached their highest level of more than two weeks, as the dollar weakened. Meanwhile, palladium reached a new all-time high. The Dow jumps almost 450 points and achieves its eighth consecutive weekly gain. U.S. stocks rose on Friday, February 15, amid rising hopes for a U.S.-China trade agreement. The week ended on a weekly positive note. The S&P 500 gained 1.1 percent, led by the energy and industrial sectors. Energy companies were driven by rising oil prices in recent days. Bank equities also rose broadly. The SPDR S&P Bank ETF was up 2.25 percent. Goldman Sachs, Morgan Stanley, J.P. Morgan Chase, Citigroup and Bank of America each advanced more than 2.5 percent. 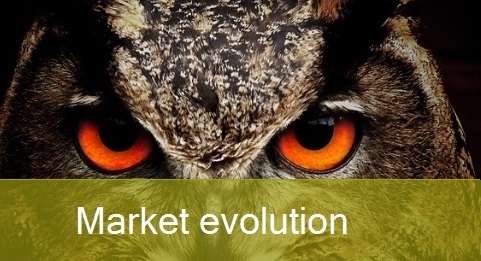 The market is becoming rational again and is now simply recovering from compulsive sales recorded last autumn. On Friday 15 February, European shares closed on the rise following trade talks between China and the United States. The pan-European Stoxx 600 provisionally ended with a 1.42 percent rise, with clear gains in basic resources and automobiles. A new round of long-term loans from the European Central Bank to eurozone banks is being proposed according to Benoit Coeure in New York. Coeure added that the recent economic slowdown in the euro zone is more pronounced than expected. His comments caused the euro to fall against the dollar. Despite considerable recent stock market rises, the large flows of money moving around the world remain unconfirmed. The funds that invest in shares in the United States have weekly outflows of $6.9 billion. That is eleven consecutive weeks of departures. The funds that invest in European shares have had outflows of 5.9 billion dollars. They are the second most important since the data are calculated. In variable income, only money has entered into funds that invest in emerging stocks with 1,600 million. 19 of the last 20 weeks have had net inflows of money. However, funds investing in bonds have strong inflows of $8.8 billion for the sixth consecutive week. Uncertainty over Brexit is responsible for the 2% drop in British GDP since the June 2016 referendum. It represents a loss of 40 billion pounds. The agency headed by Mark Carney has warned that a Brexit without an agreement could have a very sharp effect, leading the country into recession. Some Eurosceptic politicians criticize Carney, understanding that these warnings are only intended to put fear in the population to provoke a soft Brexit or a reversal in the process. The White House confirmed that the president will sign the budget bill presented to him by Congress and declare a national state of emergency. This will allow him to resort to various budget items to finance the construction of the wall with Mexico. The note adds that the president is fulfilling his electoral promise to build a wall and protect the border. Will times be well managed? Reports are already beginning to appear, clearly showing that the main victims of tariffs are precisely the citizens who were intended to be protected. The decline in retail sales in the United States is a clear sign that something is happening. The problem is that industrial production prices are also known and the decline in crude oil has reduced the overall figure. It remains to be seen whether the US Administration will be able to control the timing of demands or concessions in trade negotiations. It remains to be seen whether, in the end, the tariff war will turn against American interests. On Tuesday, February 19, Asia's sahres showed a mixed tone amid new geopolitical tensions. China now accuses the United States of fuelling fears about cyber security. China's markets were mixed. In Japan, the major Fast Retailing index lost previous gains to fall by 0.3 percent in the end. South Korean Kospi was slightly down. The ASX 200 in Australia rose 0.3 percent at the end of the session. However, the shares of health supplement company Blackmores plummeted more than 23 percent. They did so after the company issued a weaker-than-expected outlook for the second half of the fiscal year. The cause is concerns about its sales in China. Investors remain vigilant about the evolution of U.S.-China trade. The White House said Monday that talks between the two economic powers will continue in Washington on Tuesday and high-level negotiations will begin later this week. During Tuesday's Asian trading session, the dollar remained stable against its peers and without a clear direction. Monday's holiday closings in the U.S. markets brought about this calm. 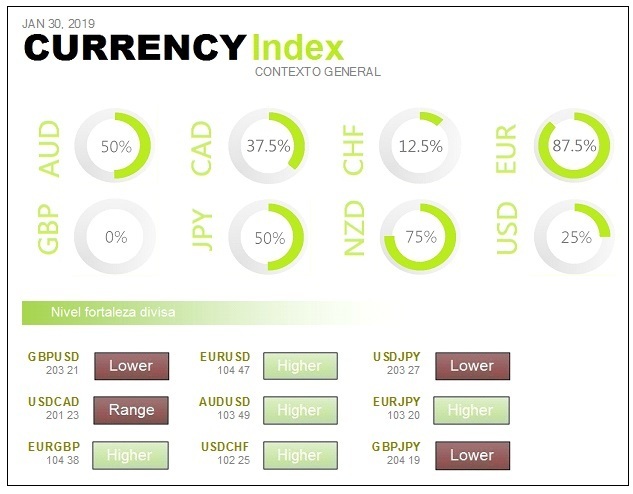 The latest rally in the euro slowed, as attention is once again focused on economic results and the European Central Bank's policy. The latest rally in the euro was not well-founded and the market is likely to return to potential negative valuations for this currency. The Australian dollar fell after the minutes of the Reserve Bank of Australia's monetary policy meeting earlier this month. At the beginning of February, Governor Philip Lowe opened the door to a possible interest rate cut, recognizing the growing economic risks. Oil prices moved away from the year's highs reached on Tuesday due to suspicions that sluggish economic growth could dampen fuel demand despite supply cuts led by OPEC producers. During Tuesday's Asian trading session, gold remained stable, at a ten-month high, as markets expected clarity in U.S.-China trade negotiations. Palladium reached historic highs again, fearing supply problems. On Monday February 18 American markets remained closed for Presidents day. U.S. government bond yields remained stable on Friday, while market participants continued to monitor trade talks between China and the United States. The White House said Thursday that President Trump signed an agreement that prevents the closing of the government, but also declared a national emergency to try to build the wall on the border with Mexico. European equities rose slightly on Monday 18 February. Market participants continued to monitor trade talks between the world's two largest economies. The Stoxx 600 pan-European index finished slightly higher, with sectors and major exchanges pointing in opposite directions. The FTSE 100 in London fell, while the German DAX barely moved from its opening price. European telecommunications stocks led the gains, with a rise of around 1 percent amid a flurry of upgrades in ratings. Gita Gopinath, the IMF's new chief economist, has supported the Federal Reserve's decision to postpone interest rate increases. To justify their decision they mentioned the worsening of the situation and the considerable increase in risks to the global outlook. Gita Gopinath, who took office earlier this year, described the deteriorating situation in the eurozone and China and warned that there was a contraction in world trade in December. In Gopinath's view, the Fed's decision to postpone adjustments will have a positive impact on the world's largest economy, which is already benefiting from the fiscal stimulus plan. He says that what counts is the medium term, where both positive and negative factors are seen. The biggest problem at the moment is the uncertainty related to factors such as the UK's exit from the European Union and protectionism, among others. Regarding the European Central Bank, he says that the TLTROs have been very useful as a tool to deal with defaults in the transmission of monetary policy. This process now needs to be monitored very carefully. He says that, if the eurozone economy were to slow even further, they could adapt the rate outlook by complementing it with other measures. New asset purchases may not be necessary at all to ensure that the financial conditions are appropriate. The White House is increasing pressure to create a sense of crisis and force negotiators to make concessions. The US Administration has used the same tactics in trade negotiations with Canada, Mexico, South Korea and the European Union. Also with the U.S. Congress. In the case of China, however, the Administration may have lost its moment of maximum leverage in September-October 2018. As a result it may have to settle for a less ambitious agreement. Leverage is always relative. At the end of the third quarter China's economy was showing signs of tension, while the US economy was at the top of a growth cycle. Since then, China's economy has remained under pressure, but the United States has also begun to show signs of less momentum. The German economy, the largest in the Old Continent, will maintain the trend of moderate growth during the first half of the year. For now, there are no signs that the slowdown in activity is in danger of turning into a recession. In the view of the German central bank, the underlying economic trend is likely to remain moderate after the change of year and they point out that orders in the manufacturing sector, outside the automotive industry, are unlikely to regain momentum in the winter months. The Bundesbank points out that the latest survey results point in this direction, which is holding back investment. The good timing of the German labour market, and the strength of wage developments, suggest that private consumption will pick up again. In addition, the Bundesbank expects a positive effect from the fiscal stimulus measures introduced by the government at the beginning of 2019. On Wednesday, February 20, Asia's stocks rose, after the U.S. president insinuated once again that the deadline for reaching agreements with China could be delayed. 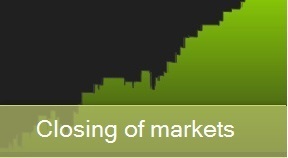 Mainland Chinese markets fell in the first part of the session. The Japanese Nikkei 225 rose slightly. The ASX 200 in Australia fell, with most sectors trading lower. The S&P 500 rose more than 2 percent last week, recording its seventh consecutive weekly gain. This move has pushed the index above the 200-day moving average, a key technical level observed by traders. Apparently, it's a panic buying environment. Trend followers, who had temporarily suspended their purchases after weak retail sales in the US, are now continuing their buying trend at lower prices. At the start of Wednesday's Asian session, the US dollar lost ground against most of its major currency pairs, although it has since regained it. Investors are now watching the release of the minutes of the last Federal Reserve meeting. The British pound appreciated on Tuesday in hopes that Theresa May will make progress in seeking changes to her agreement with the European Union. Oil prices were around the 2019 high on Wednesday. They are supported by supply cuts led by the OPEC producers' club and by US sanctions against Iran and Venezuela. However, the increase in U.S. production and expectations of a global economic slowdown seem to limit the rise in prices. Palladium rises above $1,500, for the first time, due to a prolonged supply deficit and while gold also rose to a new ten-month high. Palladium is crucial in the manufacture of catalysts used in vehicle exhaust systems. An improvement in demand from the automotive sector has supported the rises of this metal. Environmental requirements are becoming stricter, which means that more palladium is needed in the manufacture of cars. U.S. Indices rise after Trump signs flexibility on deadline for negotiations with China. American stocks rose slightly on Tuesday, February 19, after President Trump insinuated once again that he could delay the deadline for negotiations. The indices were also boosted by Walmart's strong results. The Dow Jones Industrial Average rose. The S&P 500 won, thanks to the materials sector. The Nasdaq Composite closed higher, with Amazon and Netflix up more than 1 percent. Apparently, it's a panic buying environment. Trend followers, who had temporarily suspended their purchases after weak U.S. retail sales, are now continuing their buying trend at lower prices. 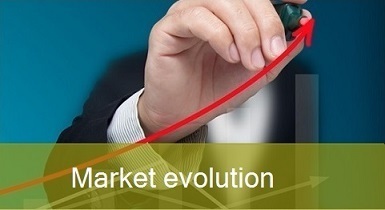 It is a short-term strategy, with the aim of achieving greater profitability. The Federal Reserve has also given signs that it will be patient in tightening its monetary policy. The minutes of its last meeting will be released Wednesday. European equities closed lower on Tuesday, February 19, as traders eagerly await details of the latest round of U.S.-China trade talks. Market developments are in tune with the evolution of trade negotiations between the world's two largest economies. Now they are meeting in Washington to try to reach some agreement before March. The pan-European Stoxx 600 dropped slightly at the end of the session, with most major exchanges in negative territory. The European banking index led the losses, with a 0.9 percent drop after news of business results. The rally in stock markets over the past month has been largely attributed to the hope that tariff agreements will be reached. The sense of hope has spread to commodities such as oil. The Chinese currency hit lows against the US dollar at the end of October and has since appreciated significantly. The markets are relying on an agreement to maintain the growth of the global economy and avoid a recession. China would suffer a severe blow if the talks failed and tariffs came into force. But the United States could be hit even harder. Both the United States and China, its top leaders in particular, have much to lose if the talks fail. This is the main reason why they are likely to succeed. Investor confidence in Germany rose again in February, although there are no signs that the country's economy will recover from the current slowdown. In fact, the assessment of Germany's current economic situation worsened markedly in February. The Centre for European Economic Research (ZEW) reported that its investor confidence index rose 1.6 points in February. This indicator remains in negative territory, below its long-term average value. Industrial production has fallen again, incoming orders have stagnated and no new impulses from foreign trade are coming. Experts do not expect an improvement in the next six months. The Commissioner for Economic and Financial Affairs, Pierre Moscovici, transfers the companies that there is no time to lose. The European Commission is ready to help with the information campaign. A document was published on Monday urging companies to prepare for the most likely option, non-agreement, and warning of the steps to be taken to alleviate a chaotic Brexit. Much depends on the ability of companies trading with the UK to adapt quickly to the customs rules that will apply from day one. The countdown to 29 March has become a race down the hill without brakes, dragging both the UK and the EU towards an uncertain end. Brussels hopes that Washington will avoid any measure contrary to its commitment to improve trade relations. The EC's chief spokesman, Margaritis Schinas, recalled that the commitment made by President Jean-Claude Juncker and Trump himself indicated that both the European Union and the United States would refrain from taking any measure contrary to trade between the two blocs. The spokesman pointed out that the EC is aware of the US Department of Commerce's investigation. This study analyses whether imports of European cars represent a threat to the national security of the United States.